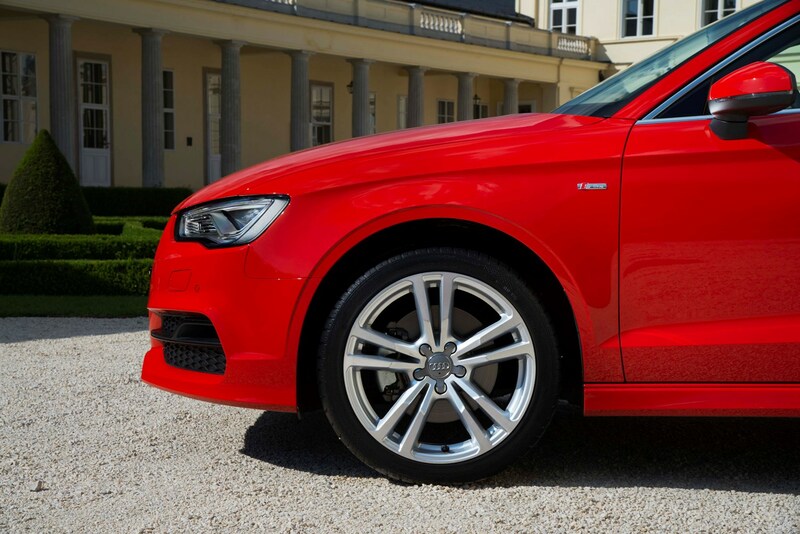 Insurance group: 15 - 46 How much is it to insure? 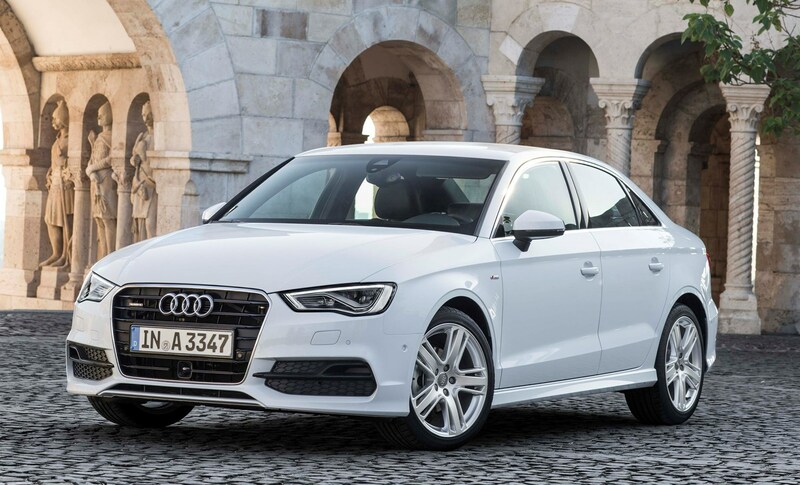 The Audi A3 Saloon is the firm’s smallest four-door saloon, going up against the likes of the Mercedes-Benz CLA, Jaguar XE and smaller two-door BMW 2 Series Coupe. 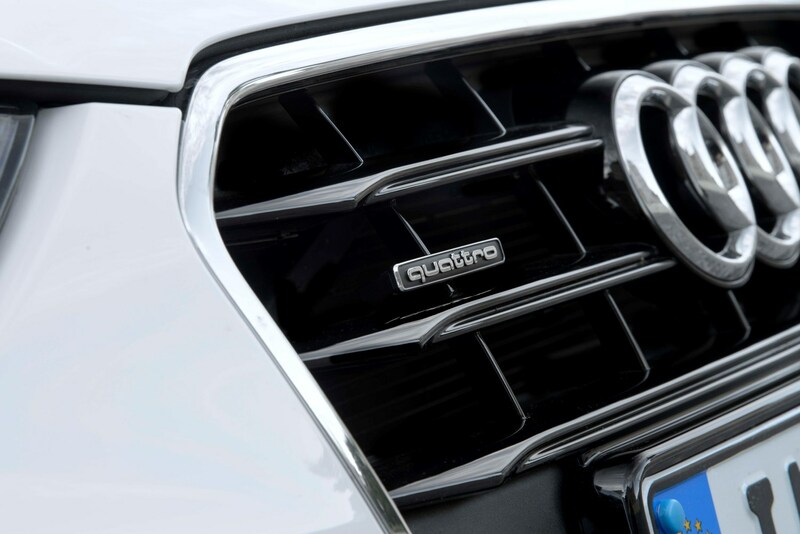 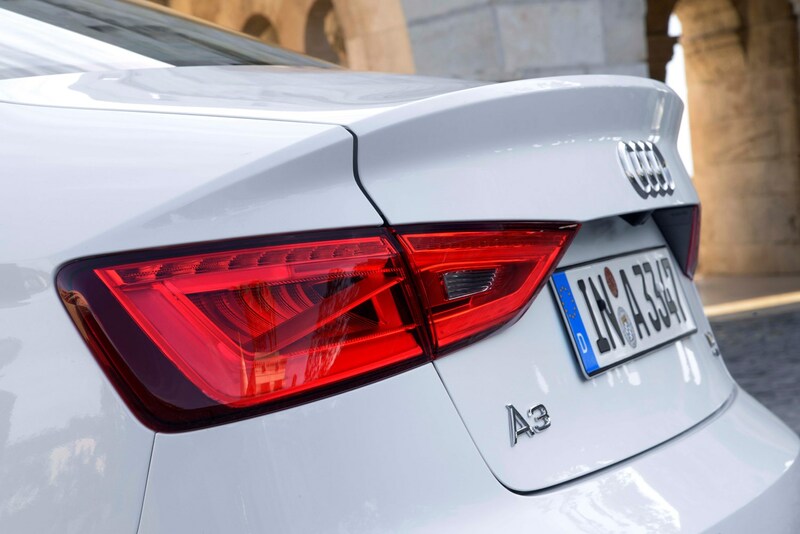 It shares its underpinnings with the A3 and A3 Sportback, and so it comes with the same sharp styling, high quality interior and comprehensive range of turbocharged petrol and diesel engines. 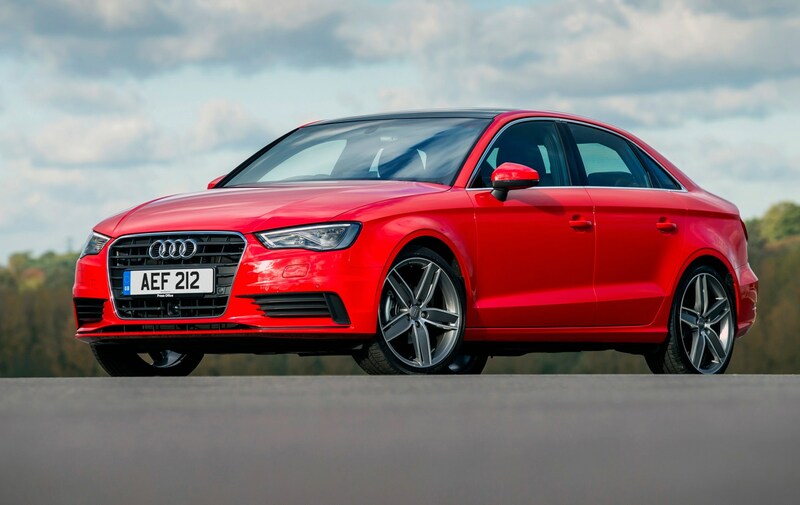 While small saloons are more popular in Asian and American markets, it’s trading on its sharp styling and desirability here in the UK, but it’s more practical than you might think. 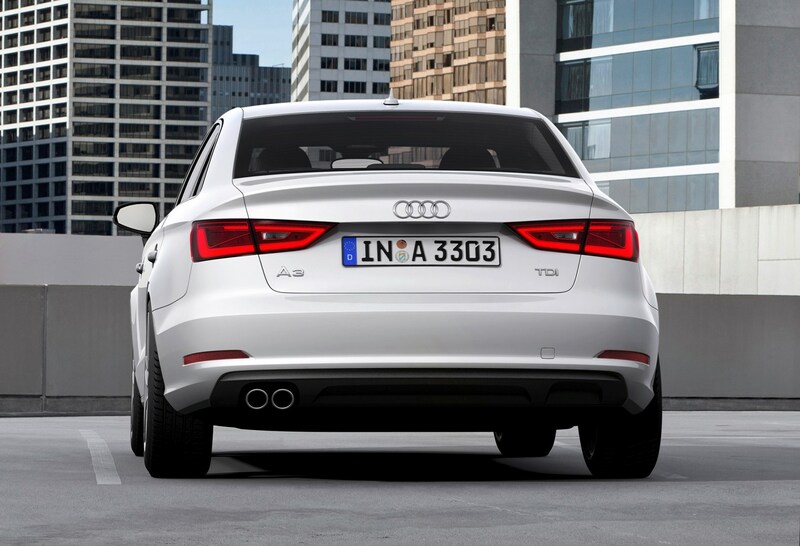 Despite its less practical access, the A3 Saloon’s boot is actually bigger than the A3 Sportback’s, and there’s also a bit of extra legroom thanks to a slightly stretched body – 150mm longer than the Sportback. 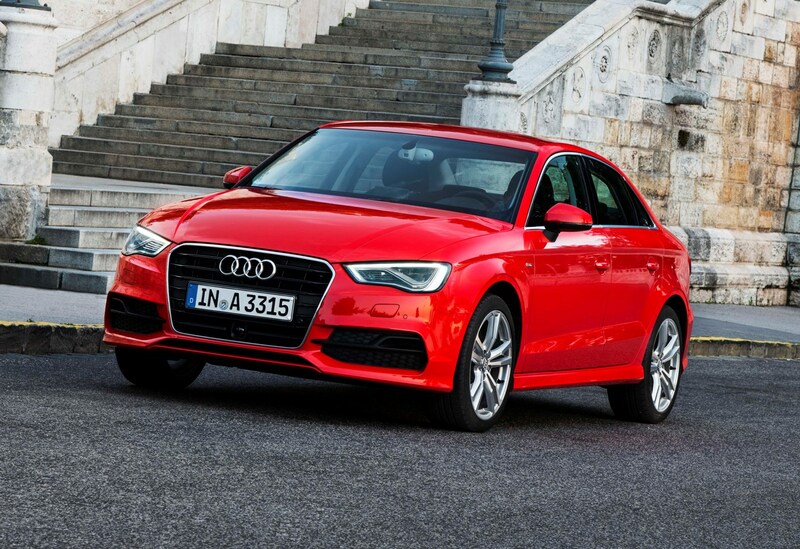 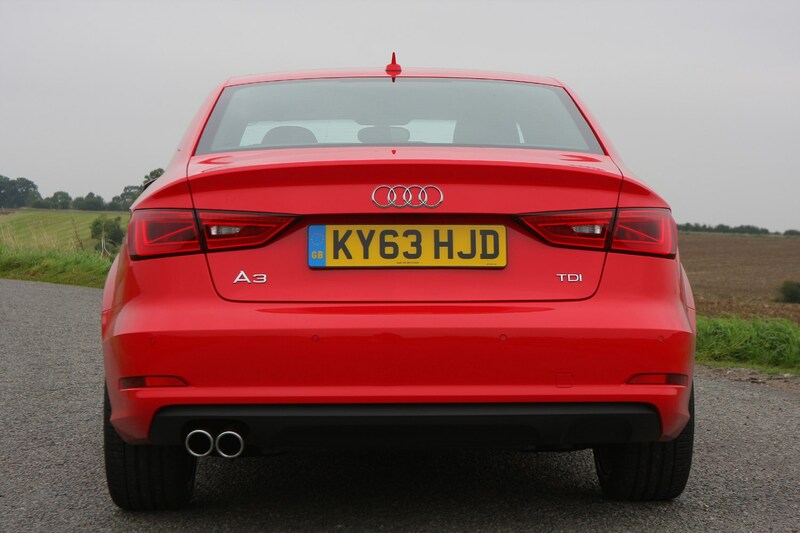 On the road, the A3 Saloon is a good performer with a mature feel to the way it drives. 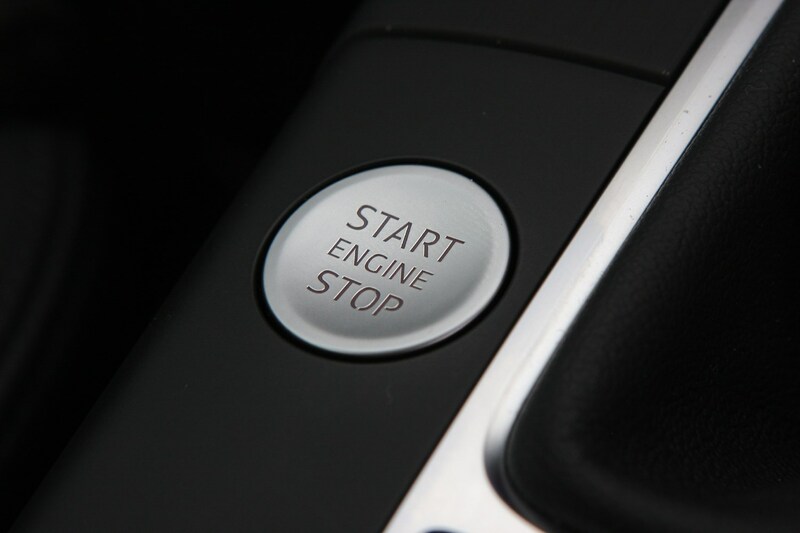 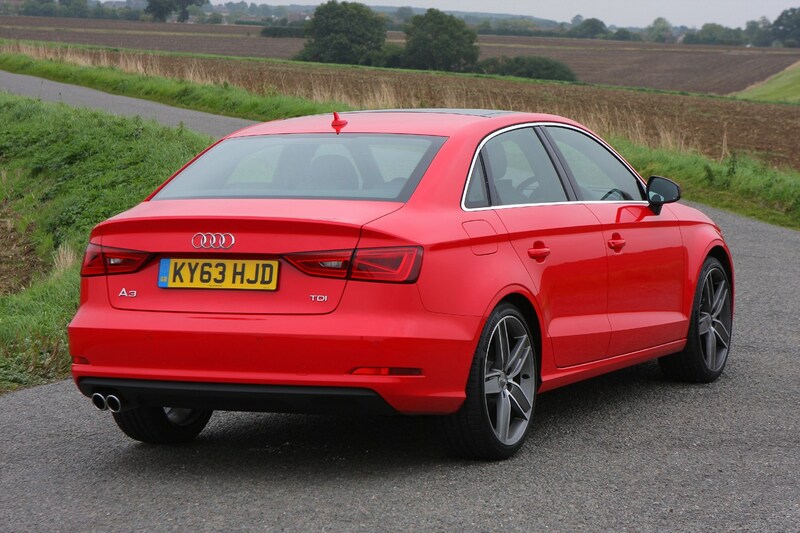 It’s quiet and refined no matter which version you pick (performance models aside), with a good choice of engines. 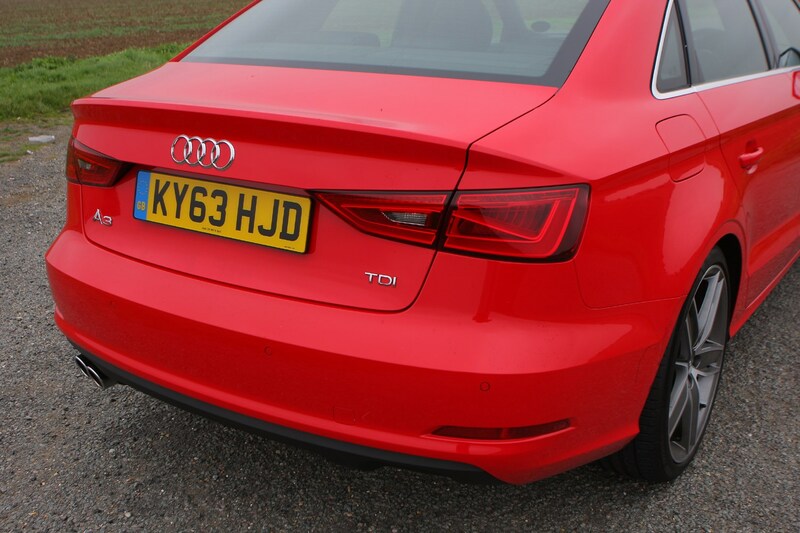 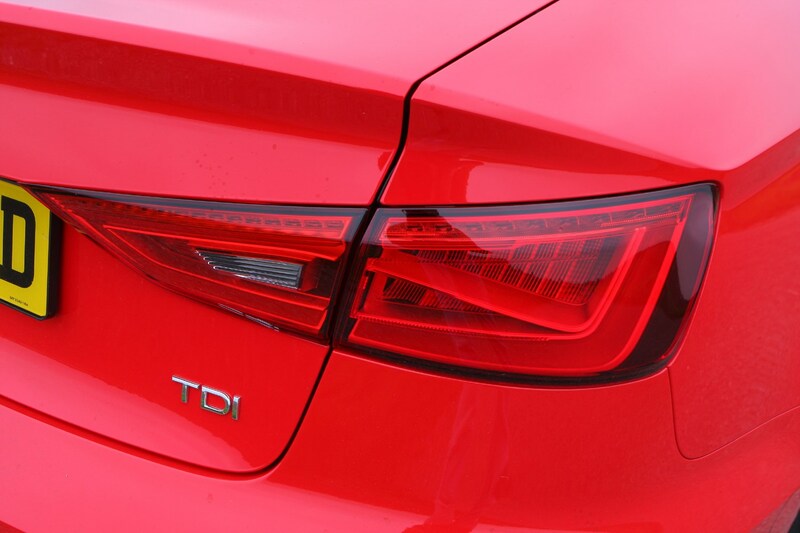 Buyers can choose from a familiar selection of turbocharged TFSI petrols and punchy TDI diesels, although the saloon goes without the entry-level engines from the regular A3, and it doesn’t come as an e-tron plug-in hybrid, either. 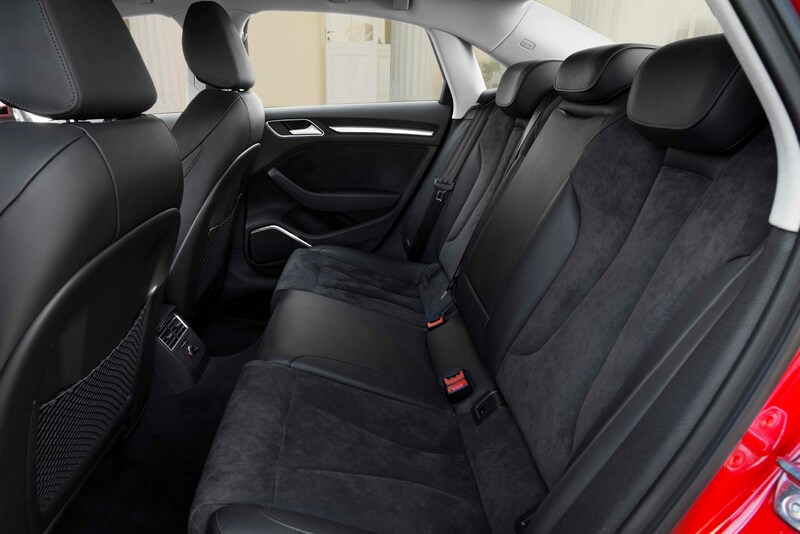 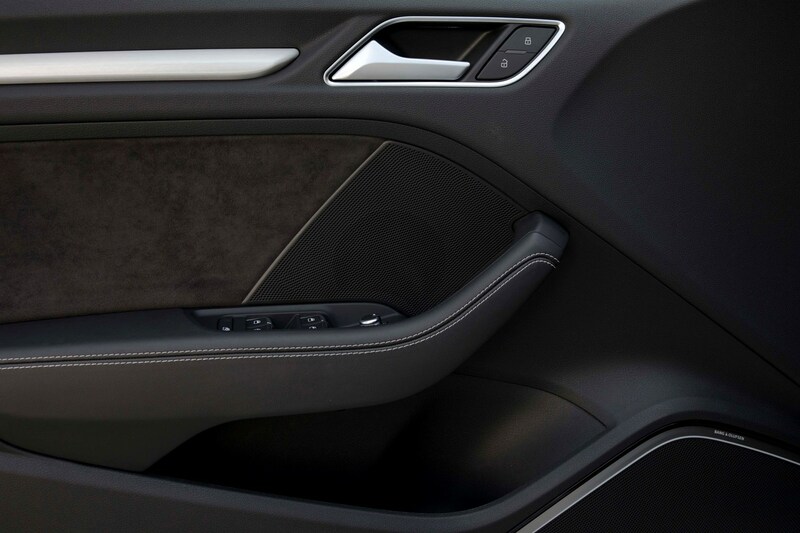 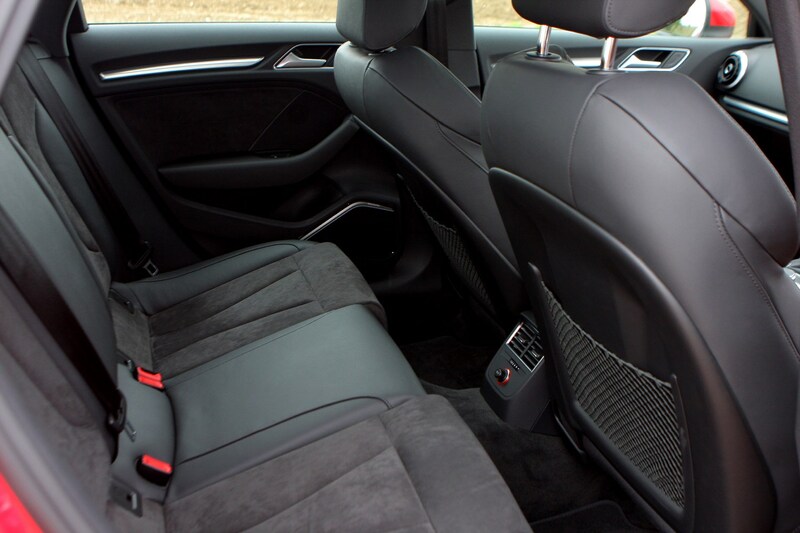 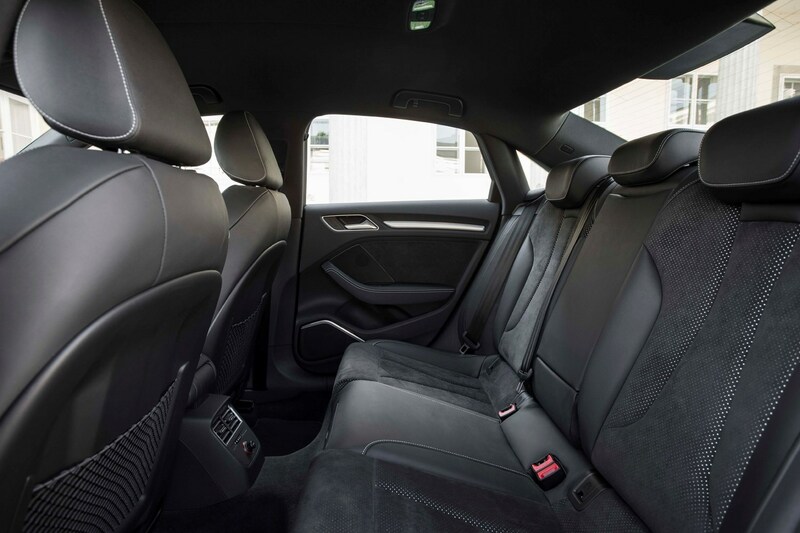 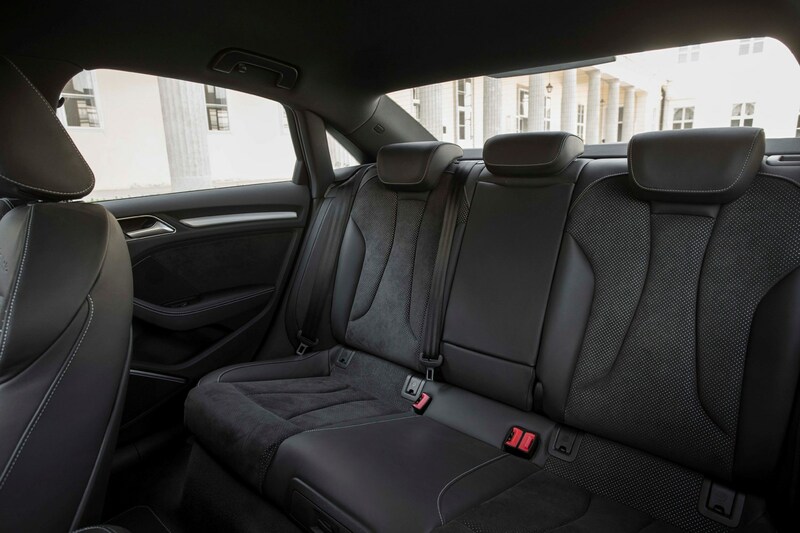 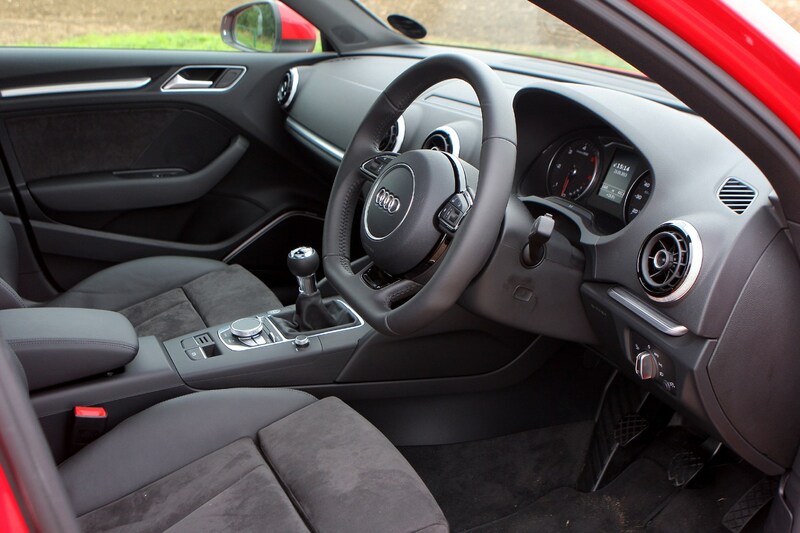 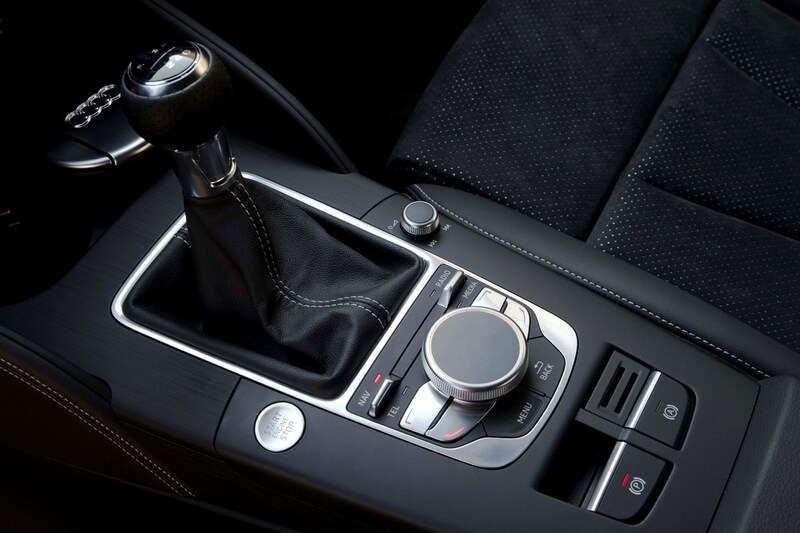 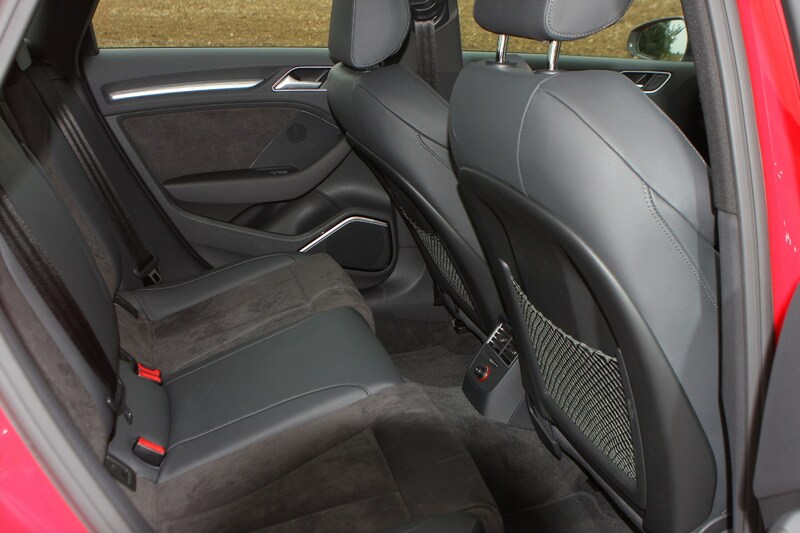 The interior of the A3 Saloon is one of its most attractive selling points. It’s simple and fresh in its design, but everything is made from really plush materials that are pleasant to touch, with neat design details that make it a pleasant place in which to spend time. 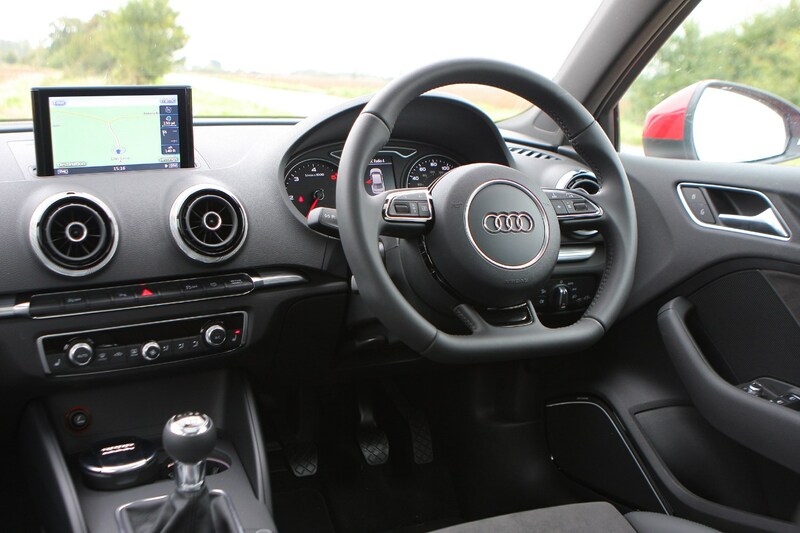 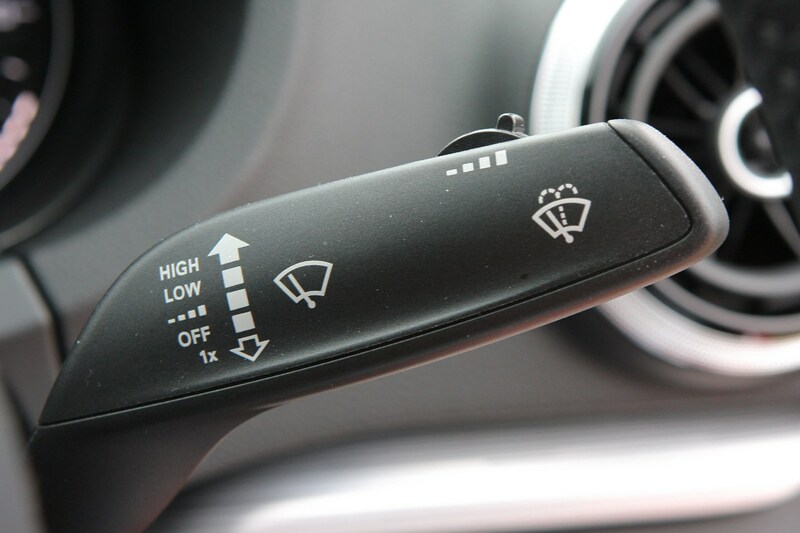 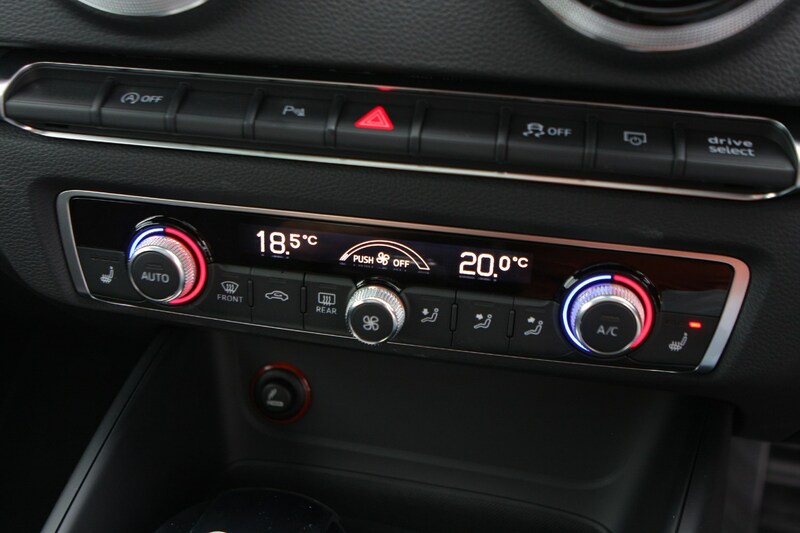 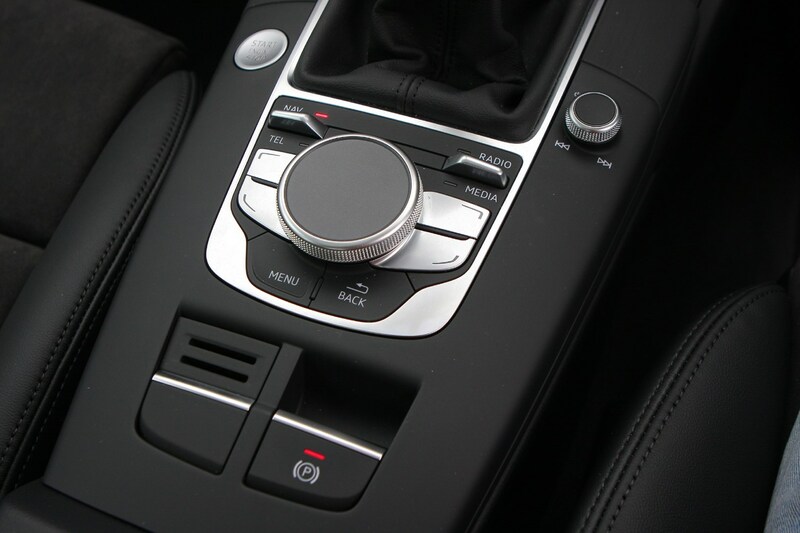 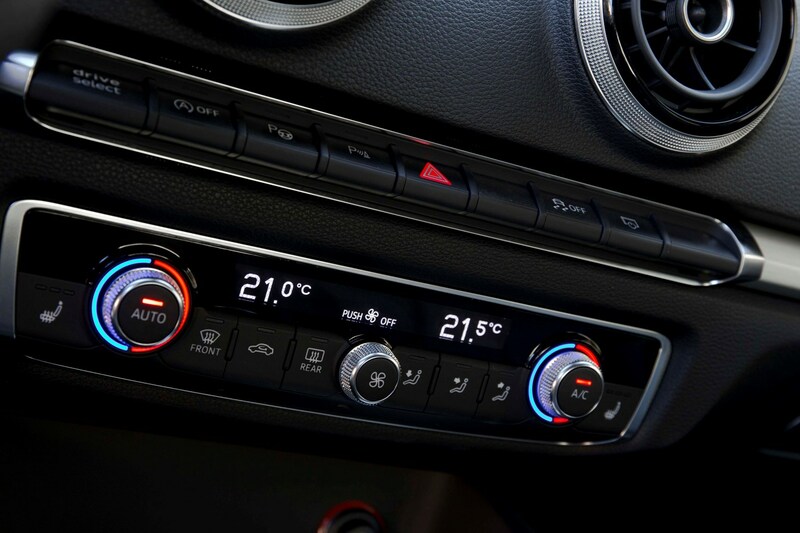 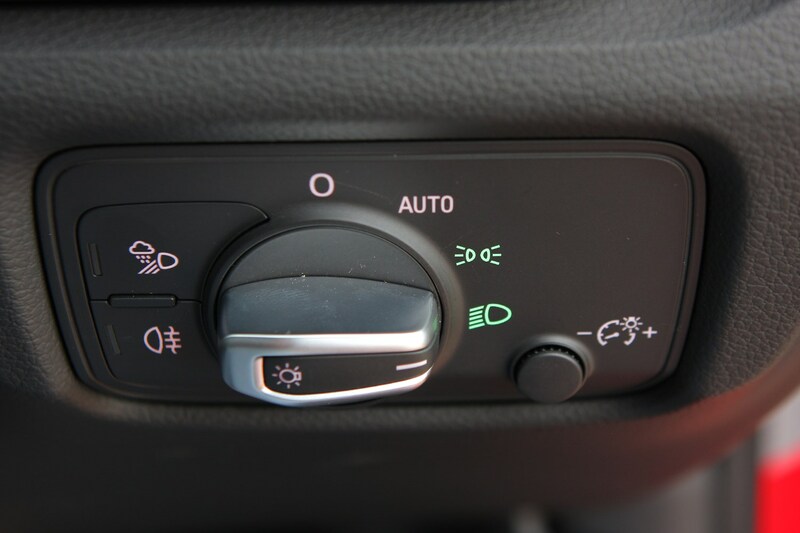 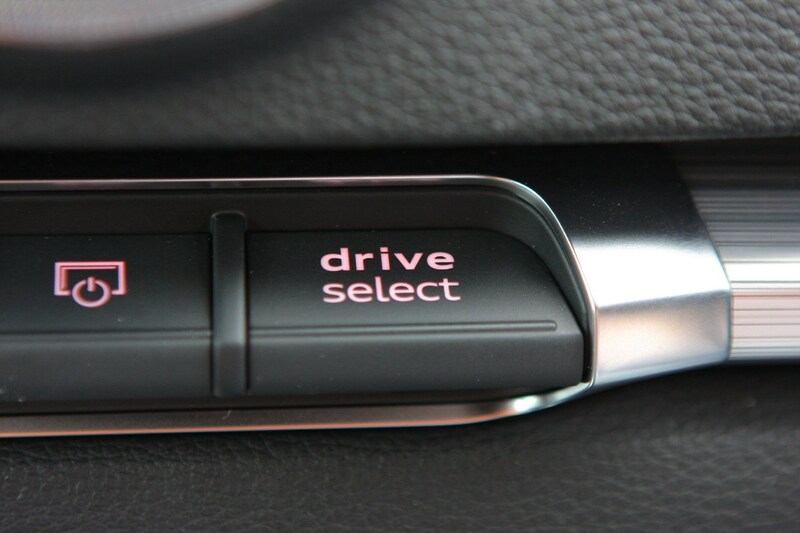 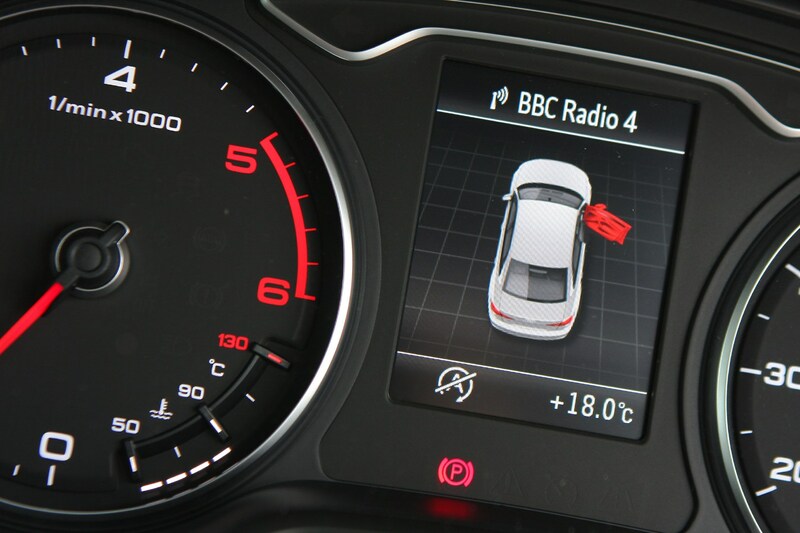 It’s also available with extra tech such as Audi’s Virtual Cockpit which not only makes life easier, but also makes the A3 feel genuinely upmarket and modern. 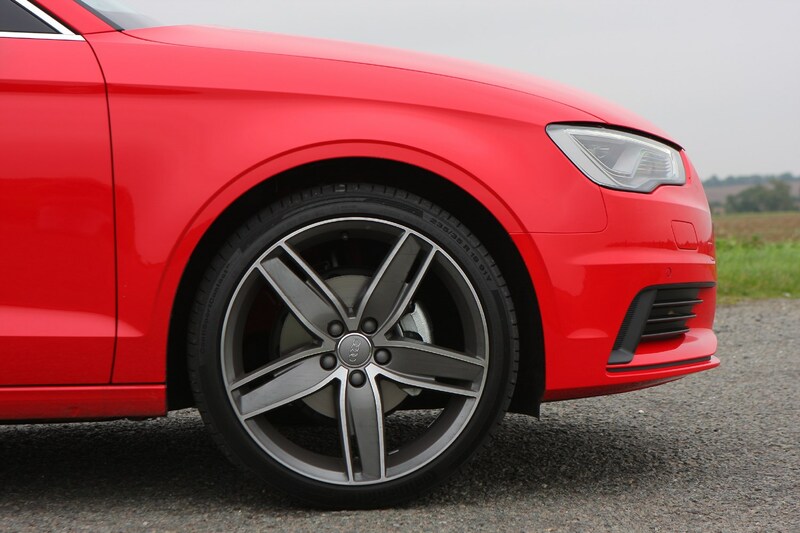 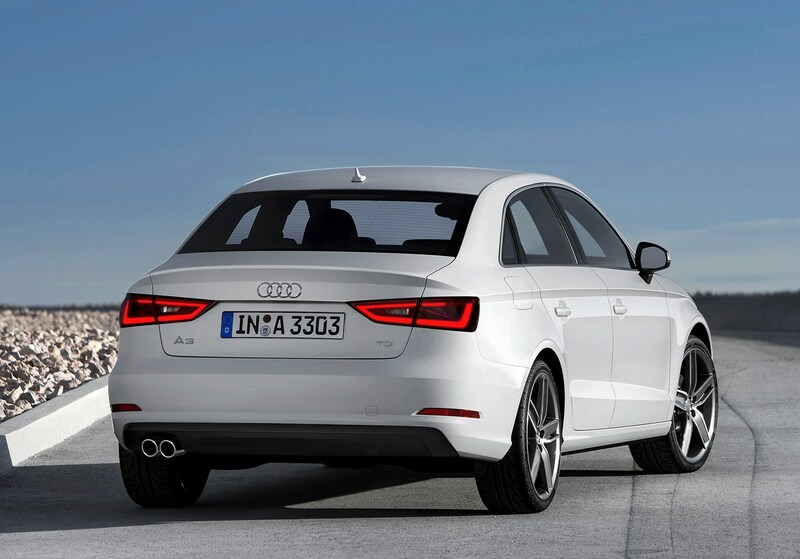 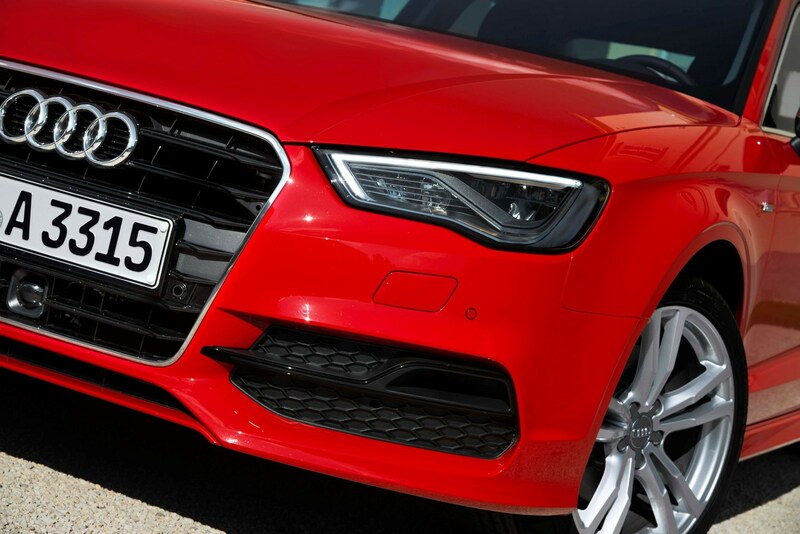 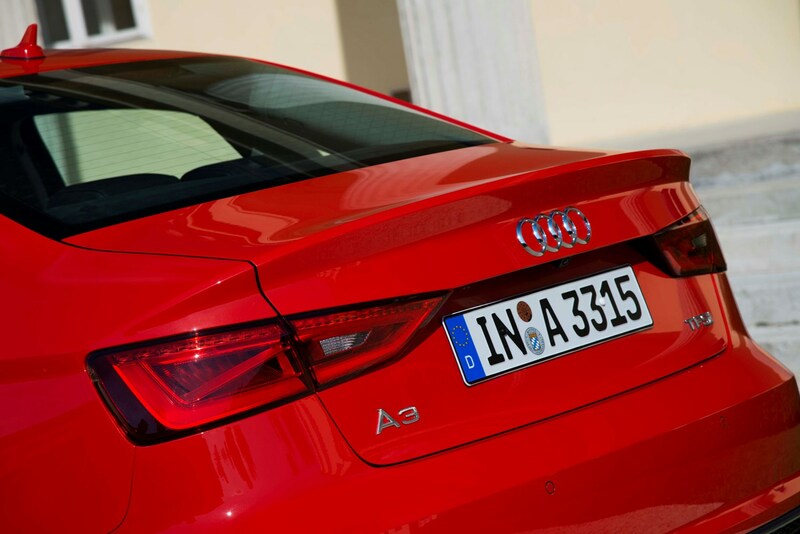 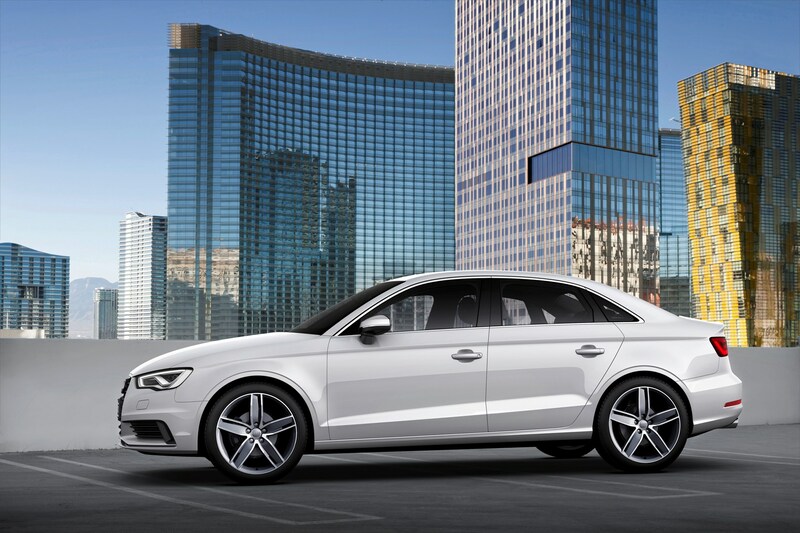 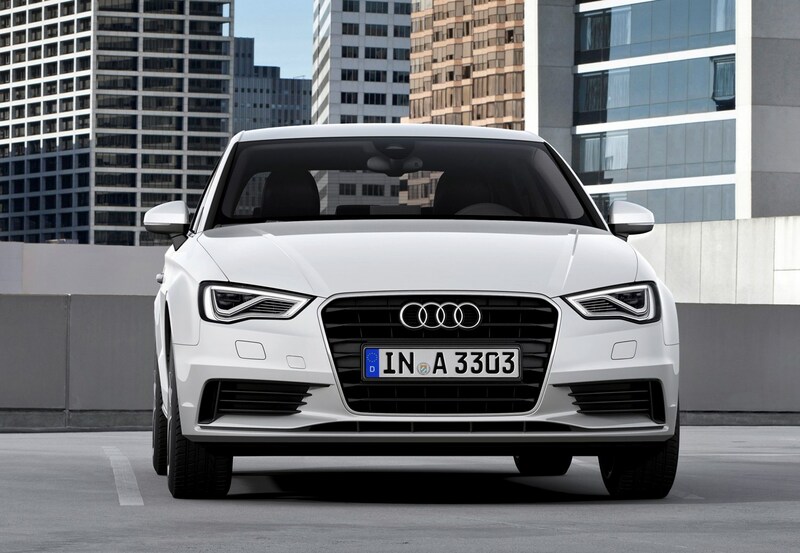 If you’re looking for a more performance-focused A3 Saloon, you’re well catered for with a choice of S3 or RS 3 models. 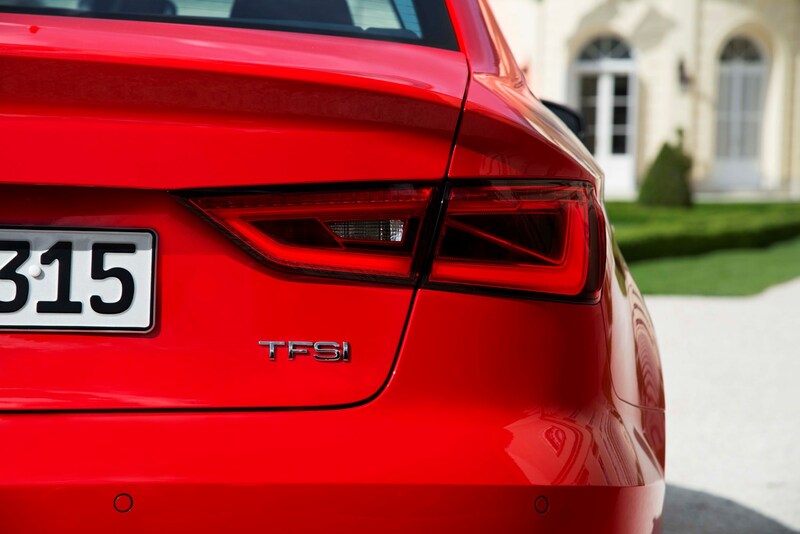 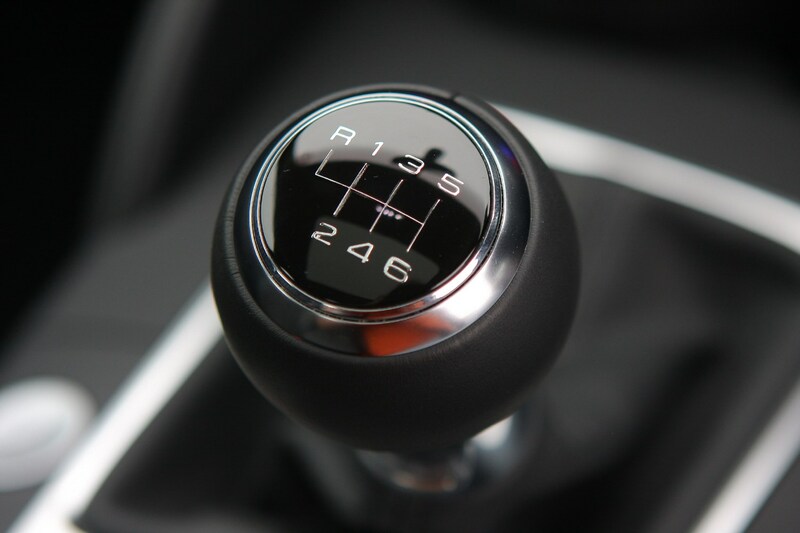 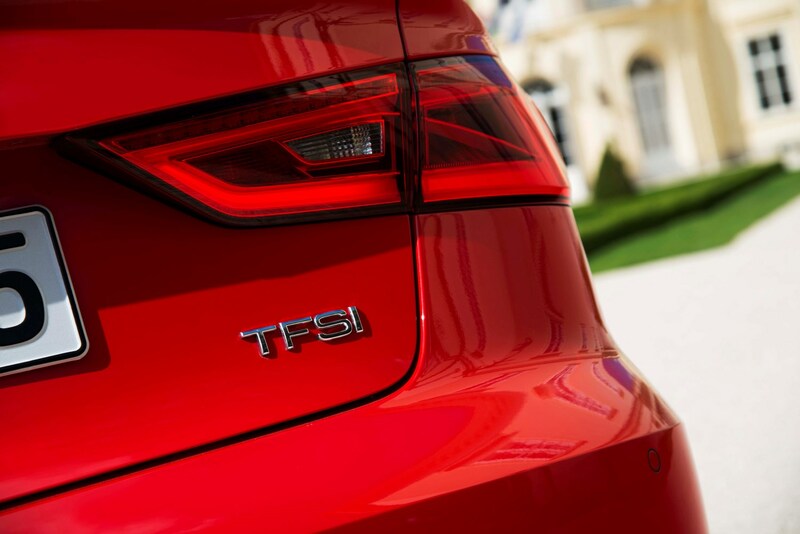 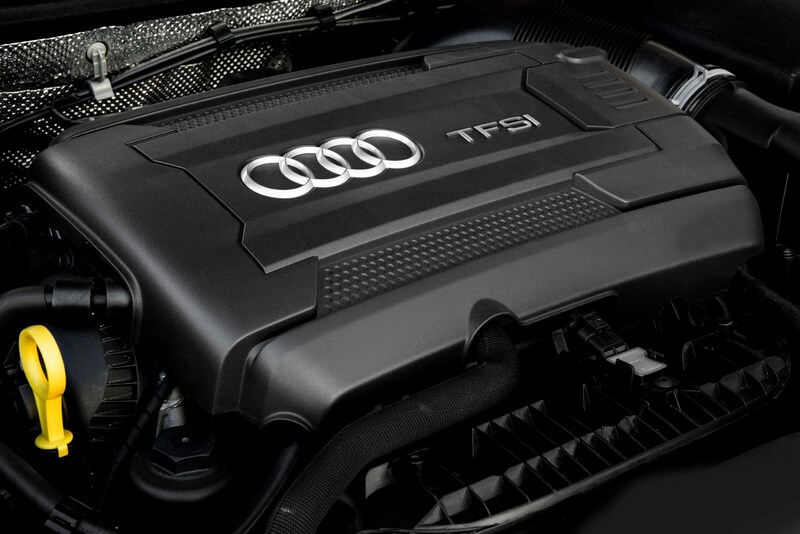 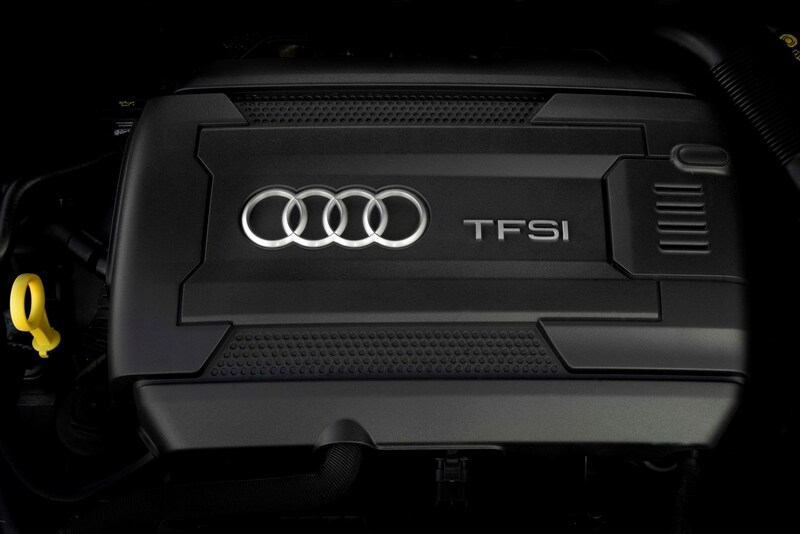 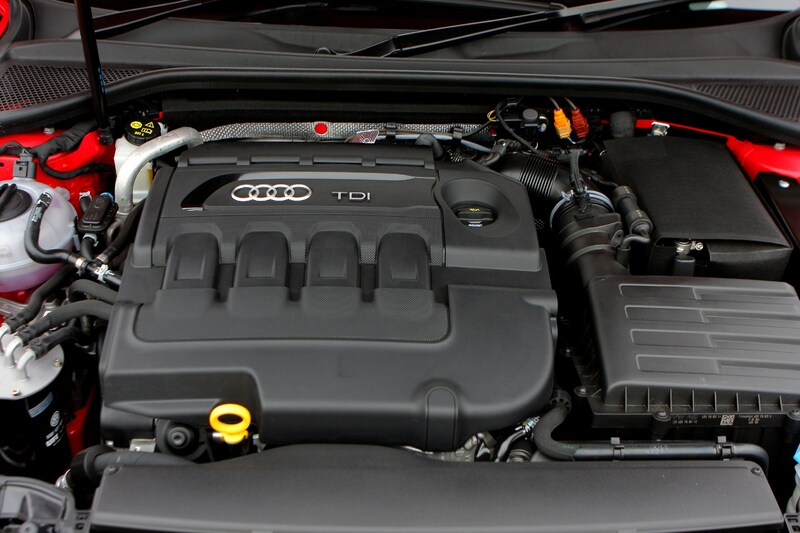 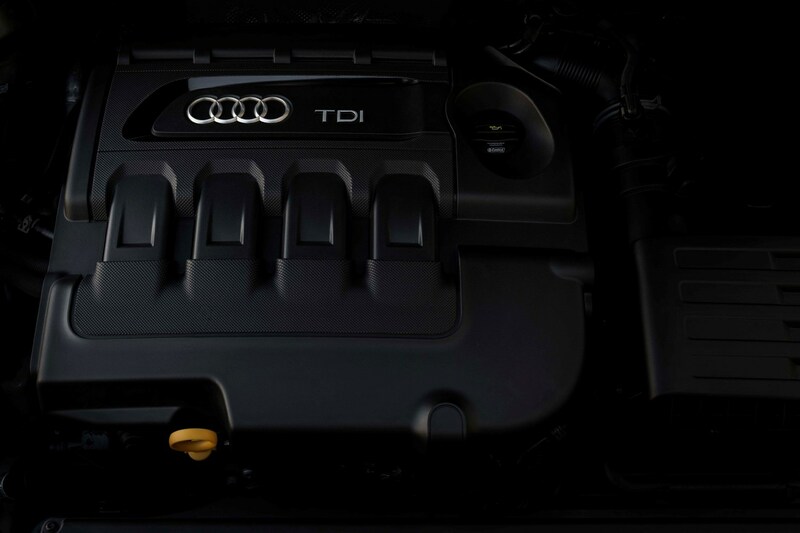 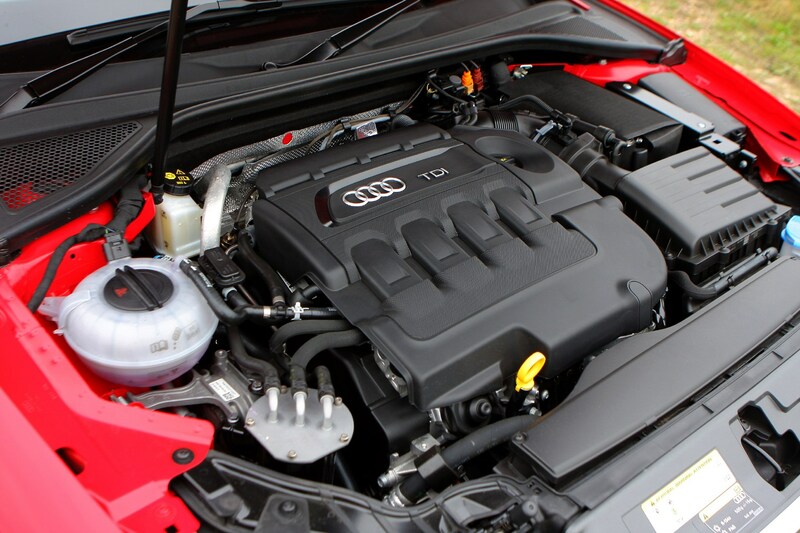 A turbocharged 310hp 2.0-litre TFSI petrol engine matched with an S Tronic automatic gearbox and Quattro all-wheel drive powers the S3, providing a middle ground between regular A3 Saloons and the high-performance RS 3. 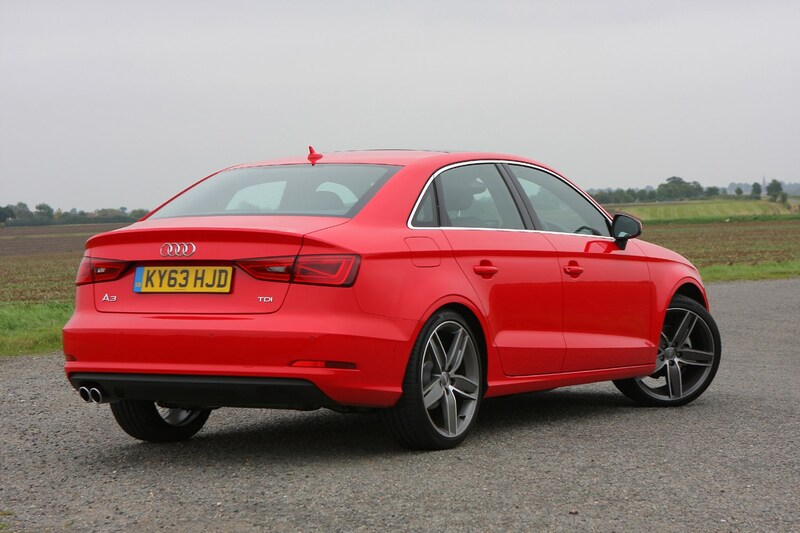 If you want to go all out and opt for the range-topping RS 3, you’ll benefit from a 2.5-litre turbocharged petrol pushing out 400hp, and it makes for a genuine little super saloon with aggressive looks and sensational straight-line speed. 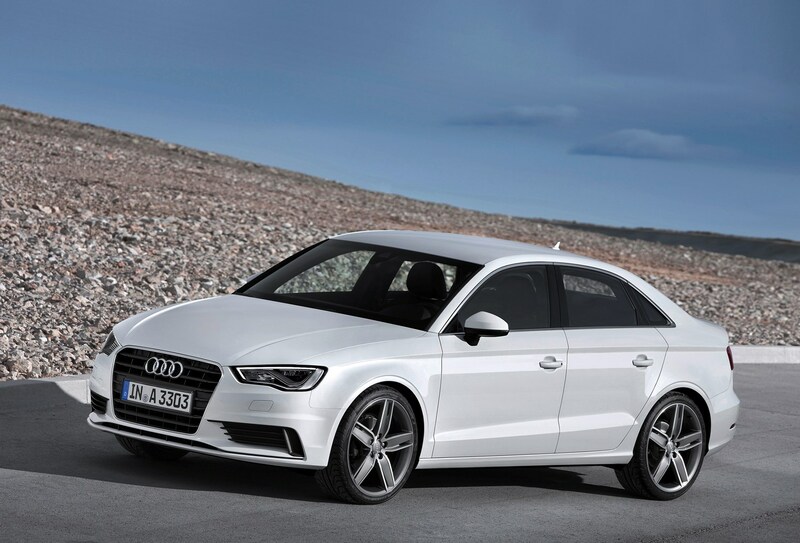 The Audi A3 Saloon is a stylish and desirable small saloon with a suitably upmarket interior to match its premium image. 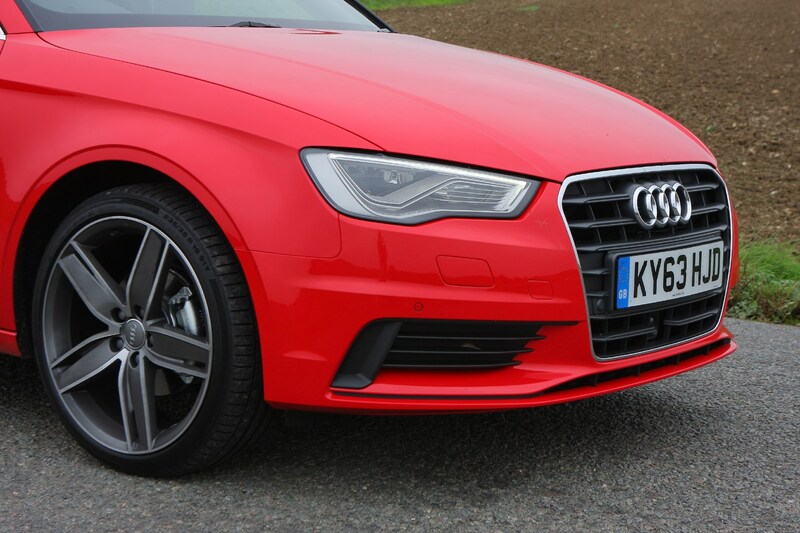 It’s not a particularly engaging car to drive – even the high-end models are more about straight line speed than excitement in the bends – but it would undoubtedly be a satisfying car to own due to its wide breadth of abilities. 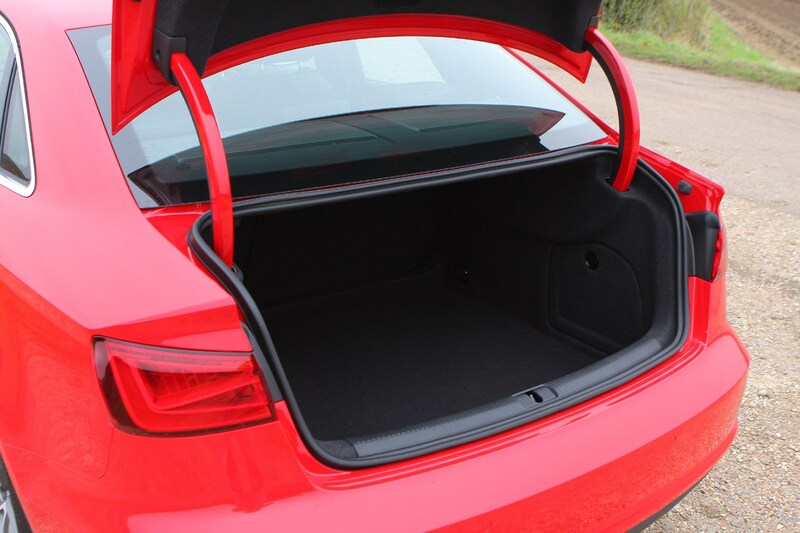 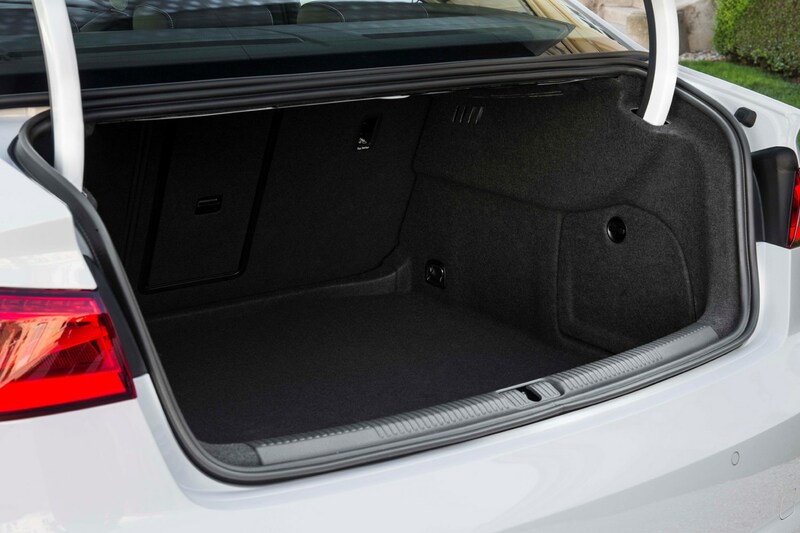 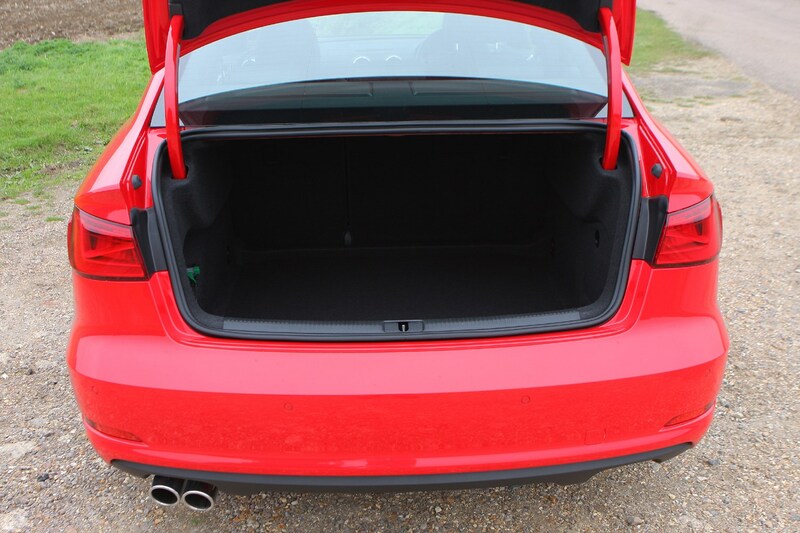 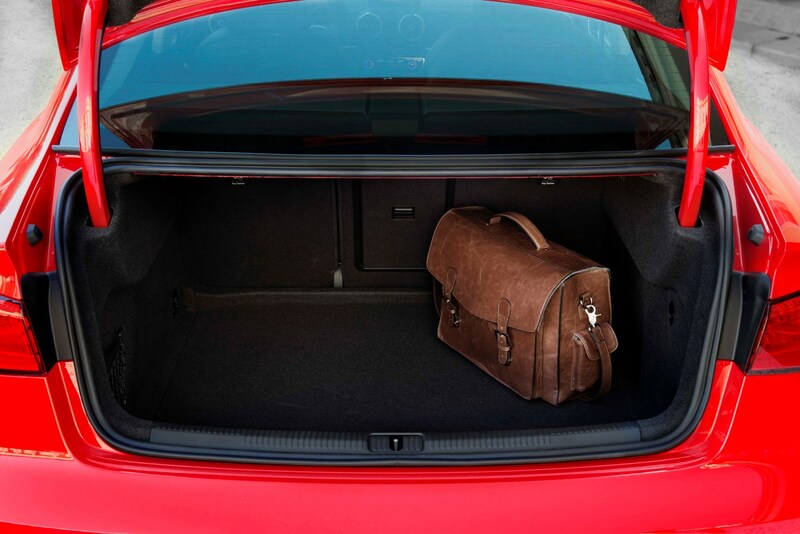 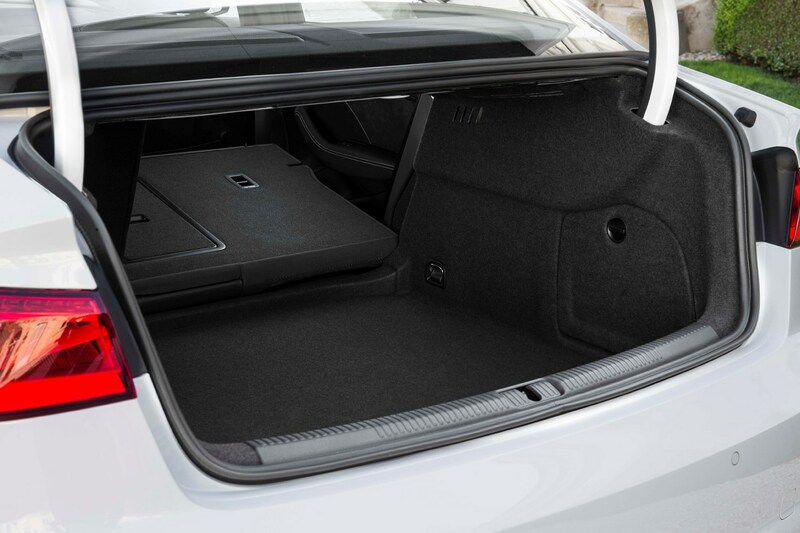 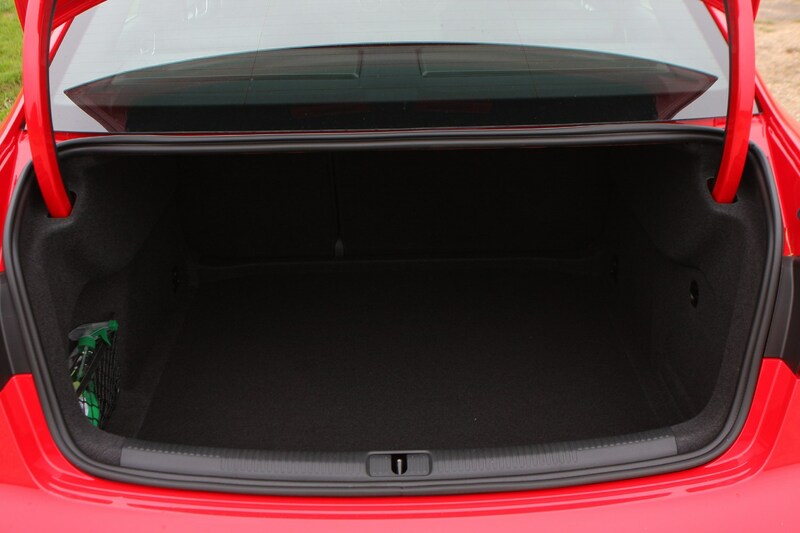 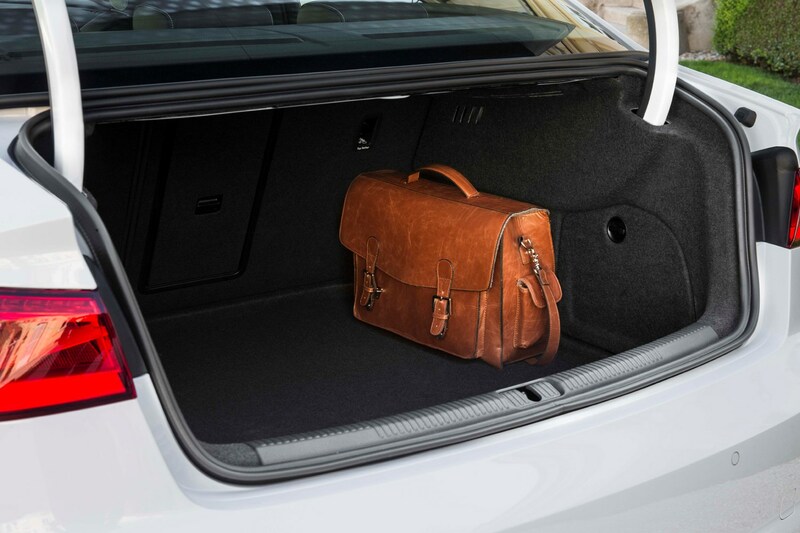 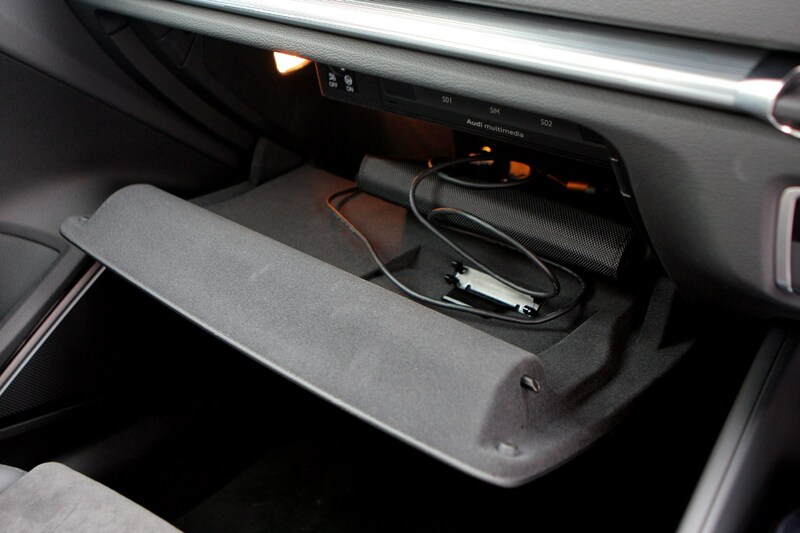 Plus, it has a bigger boot than the five-door A3 Sportback, it’s just more difficult to get to it. 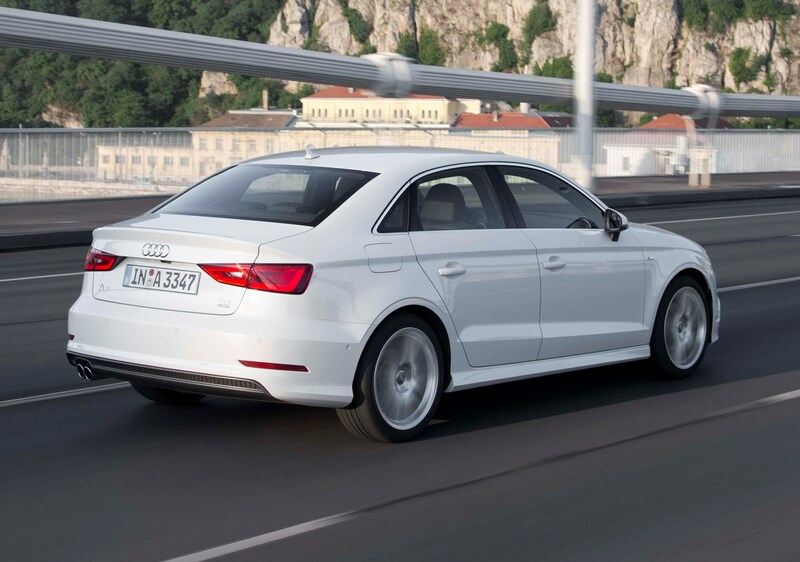 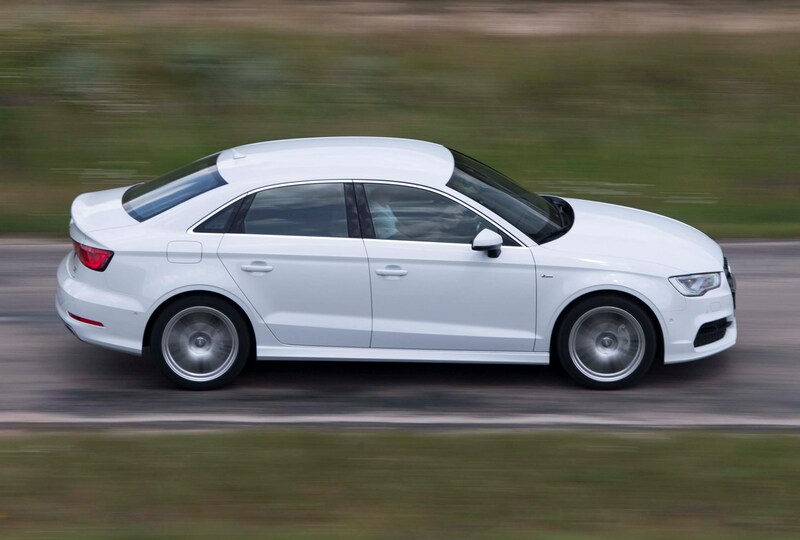 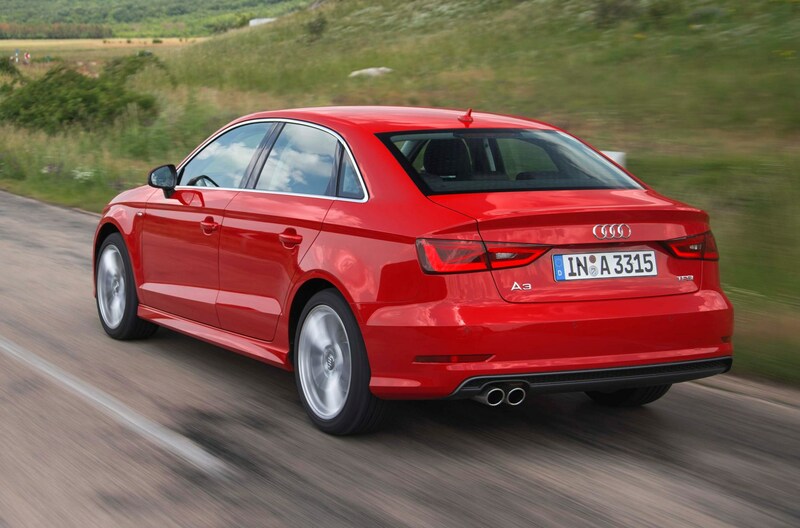 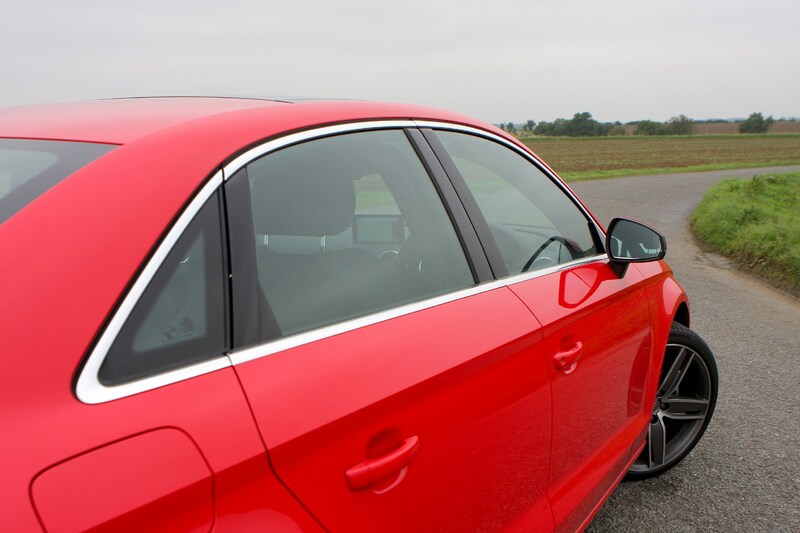 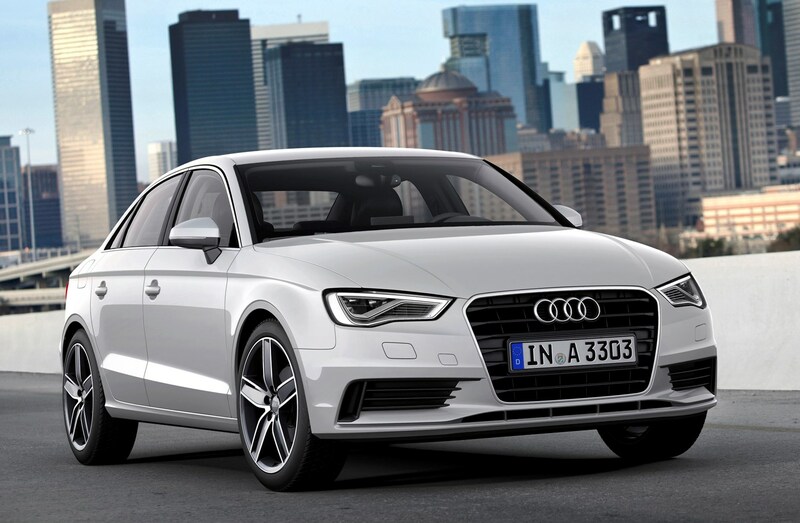 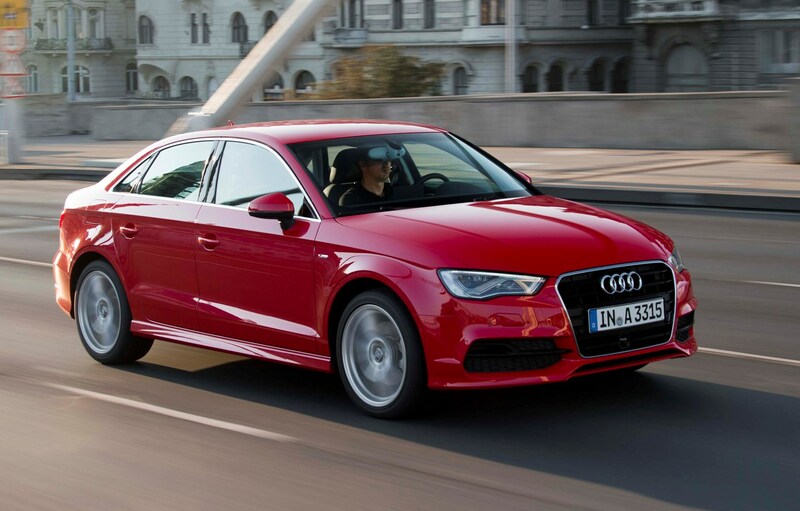 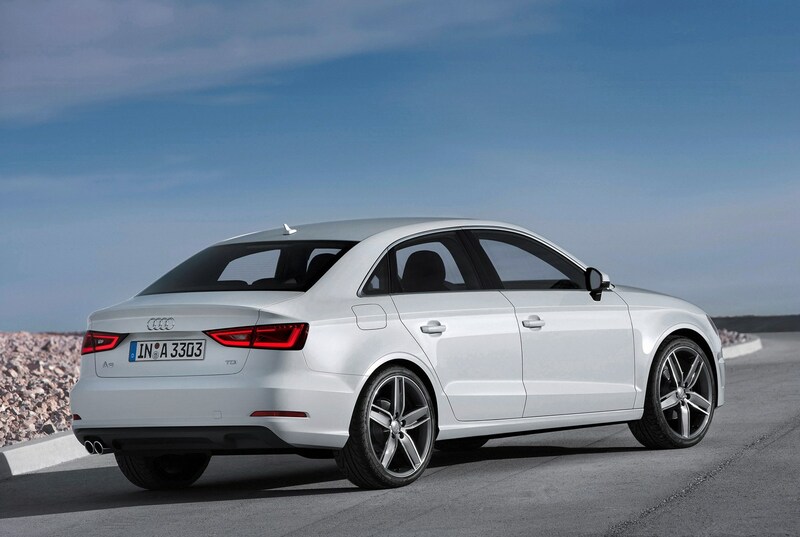 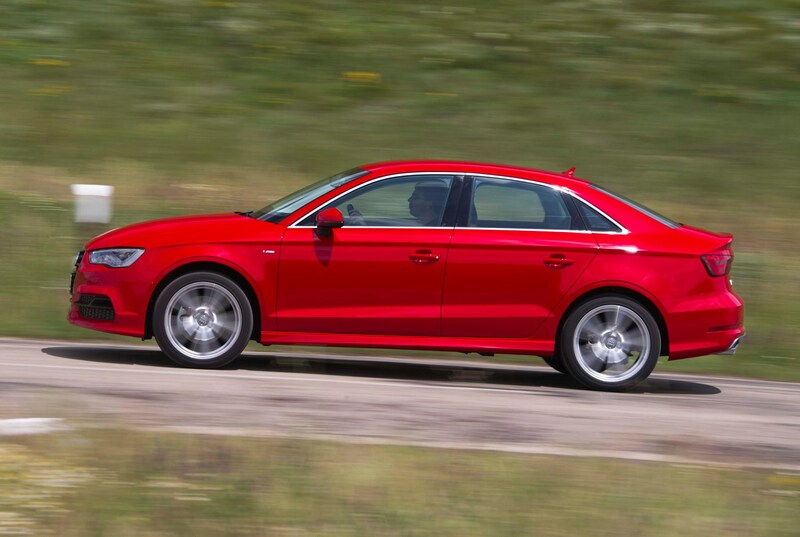 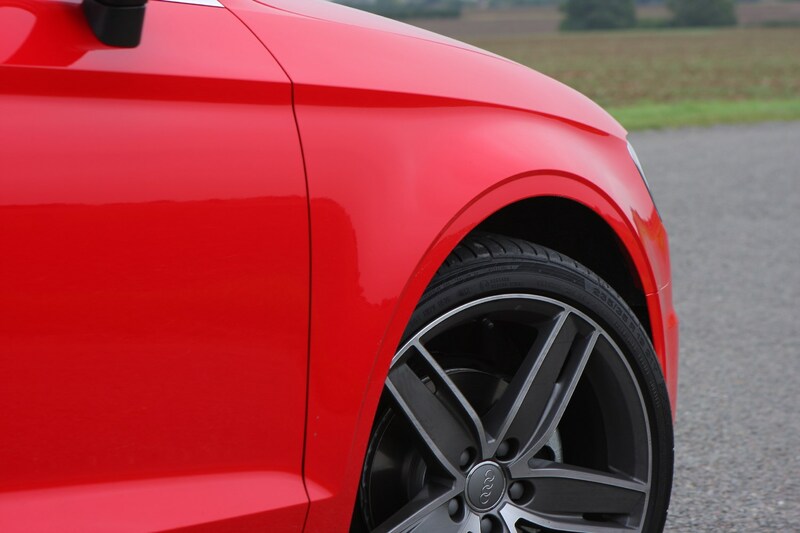 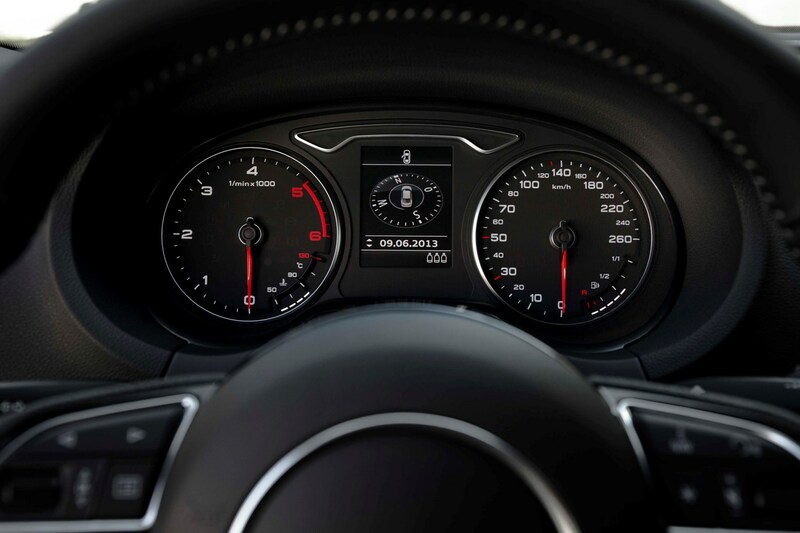 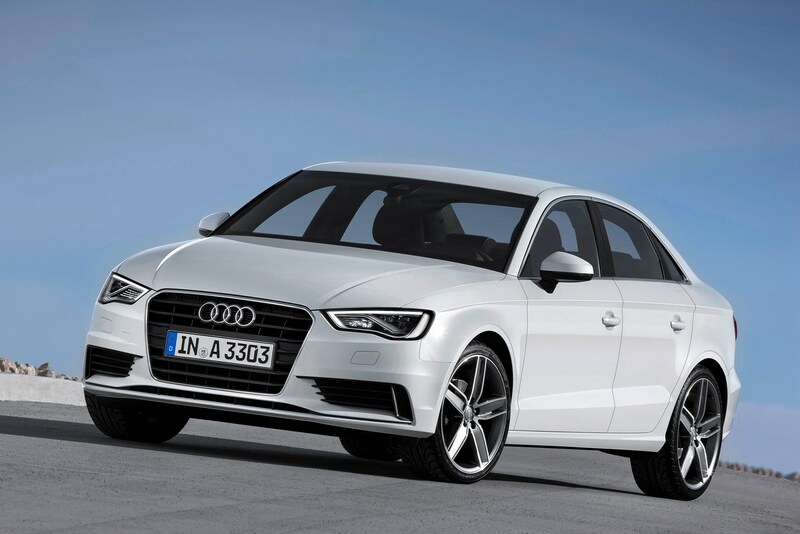 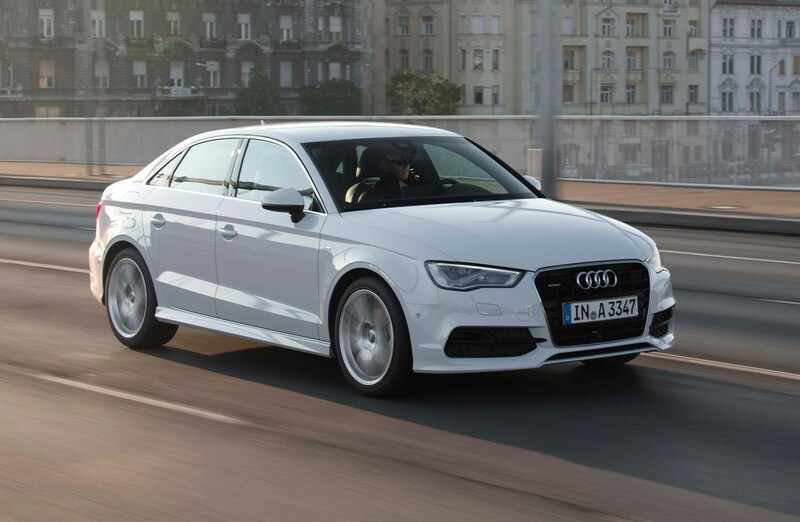 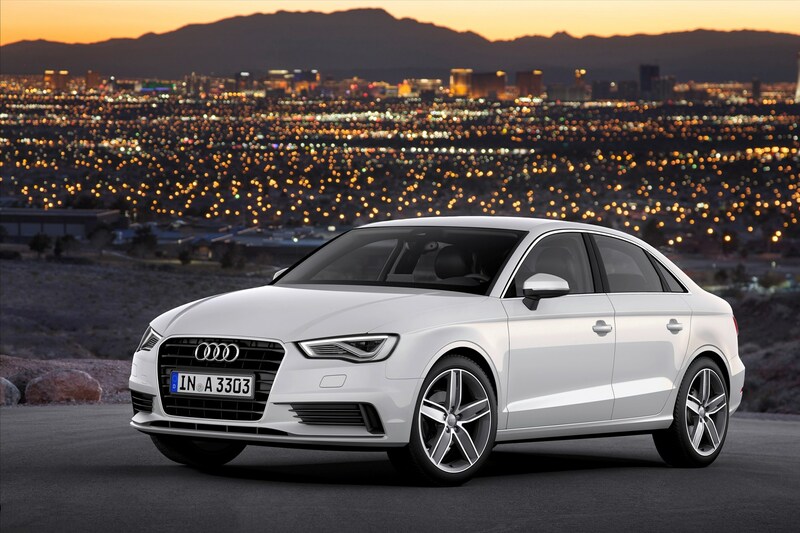 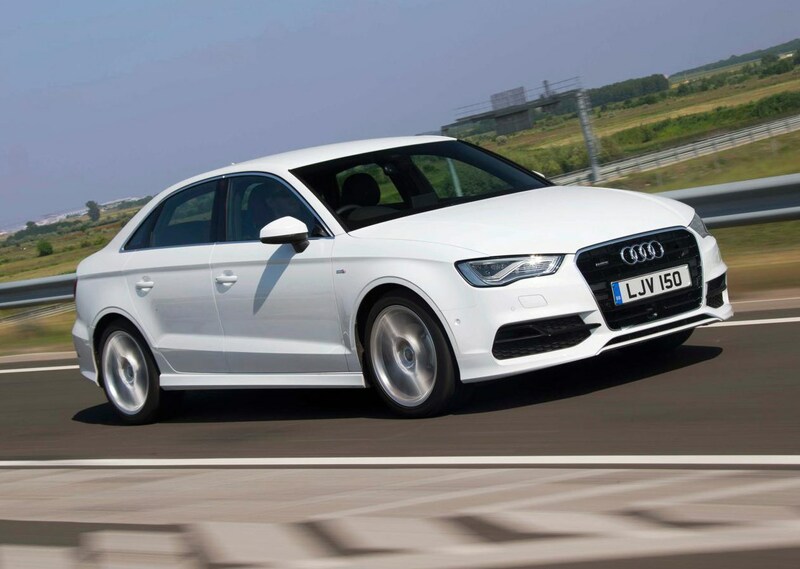 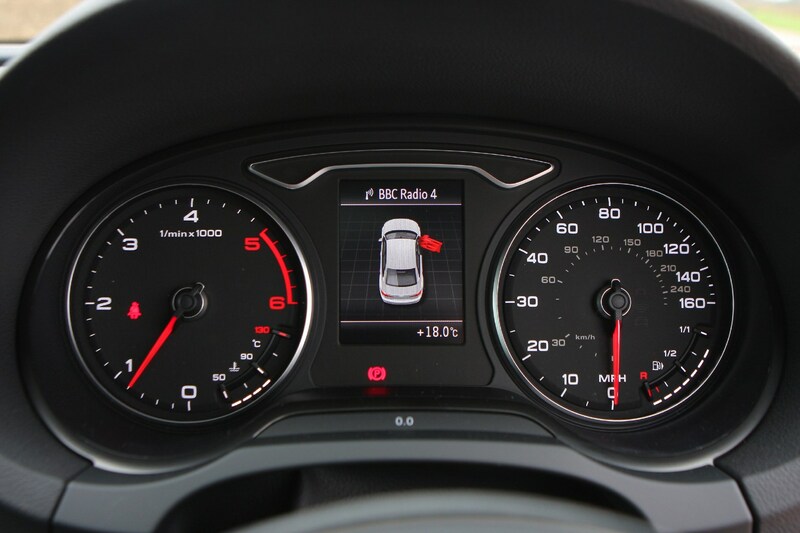 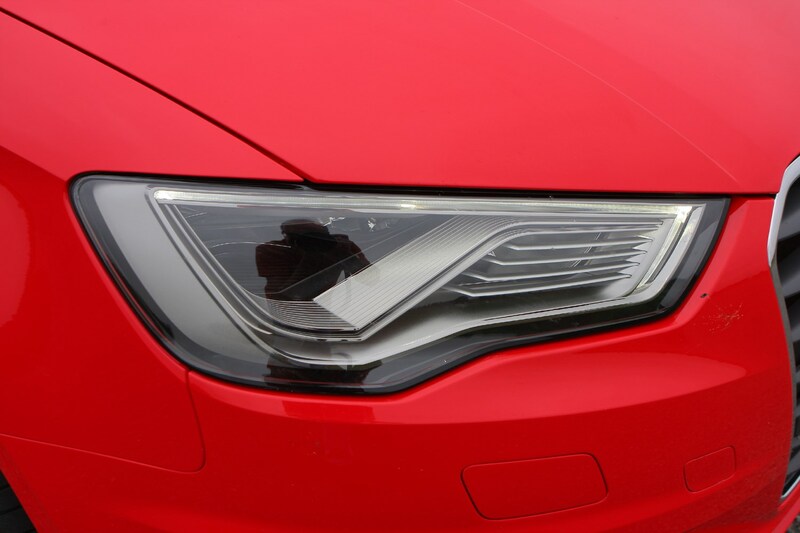 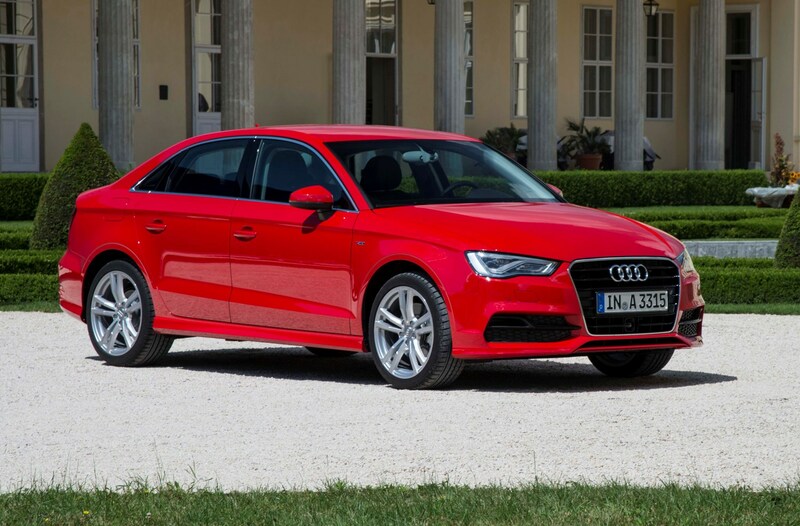 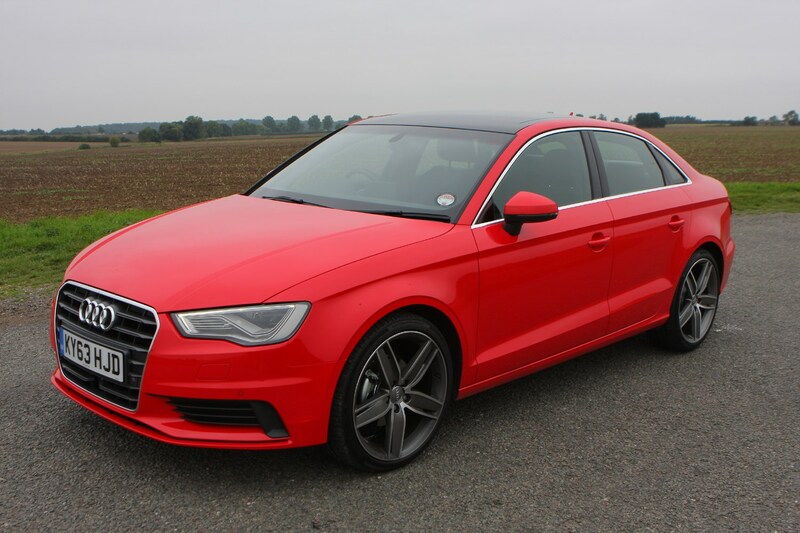 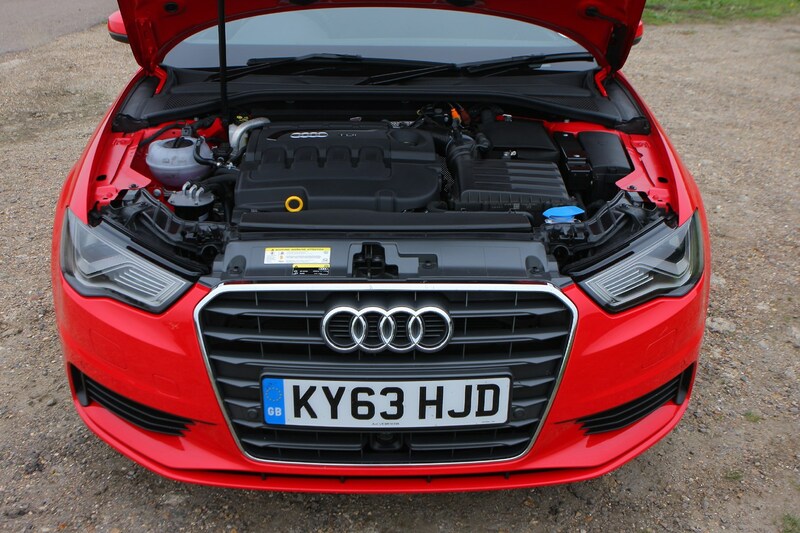 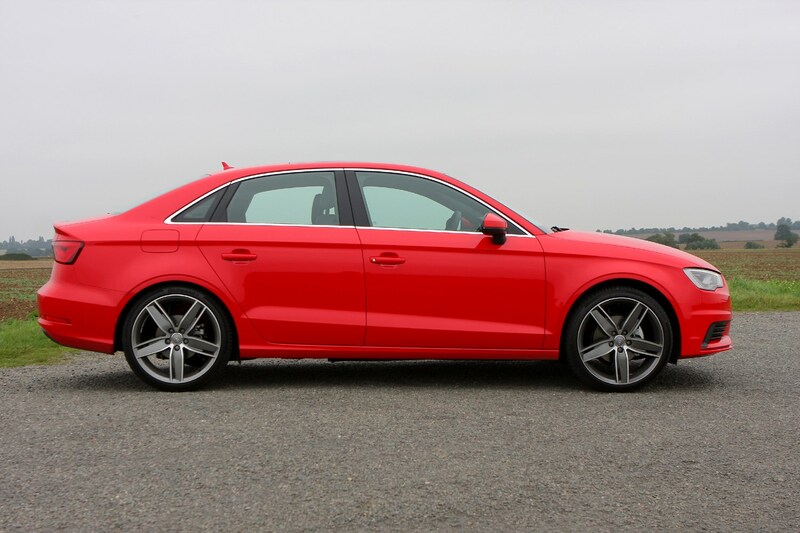 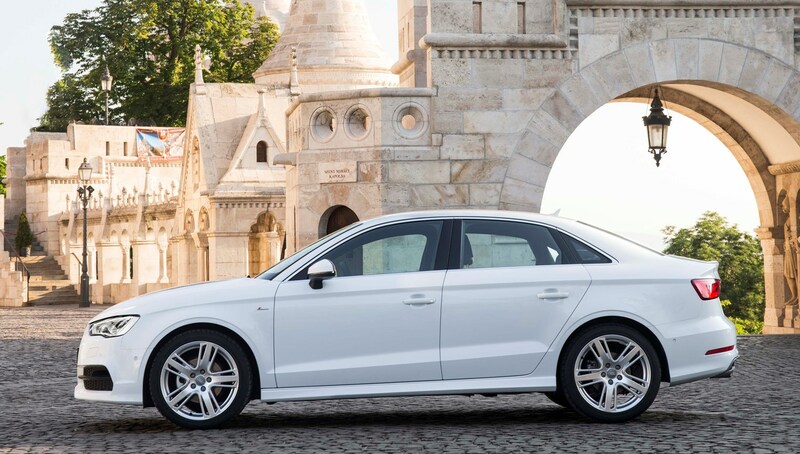 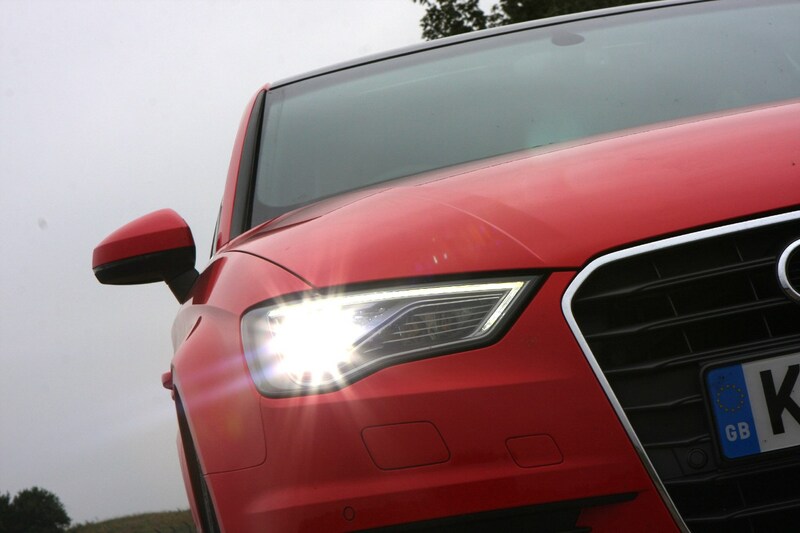 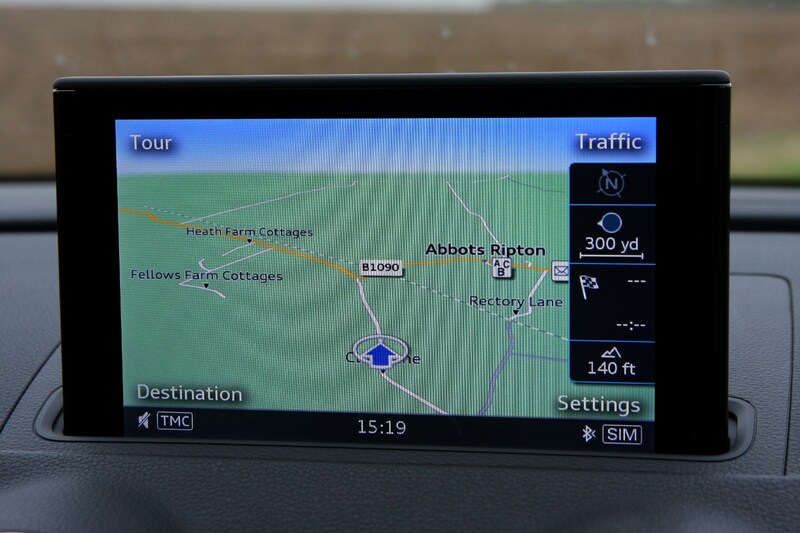 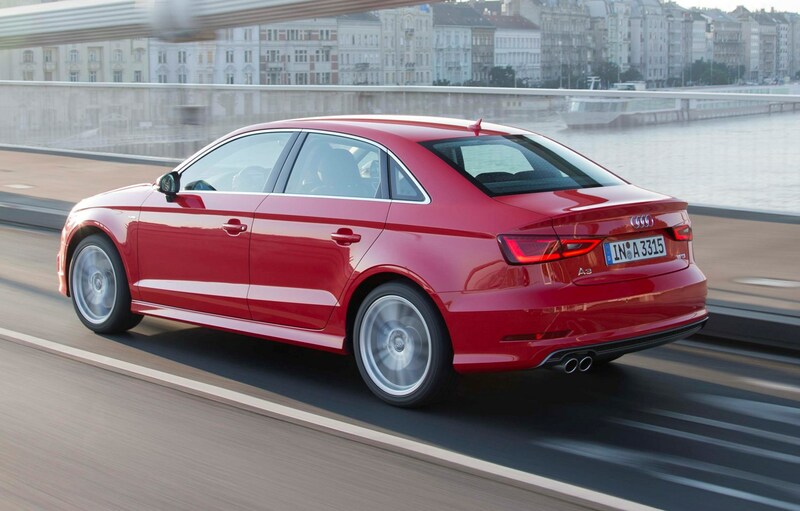 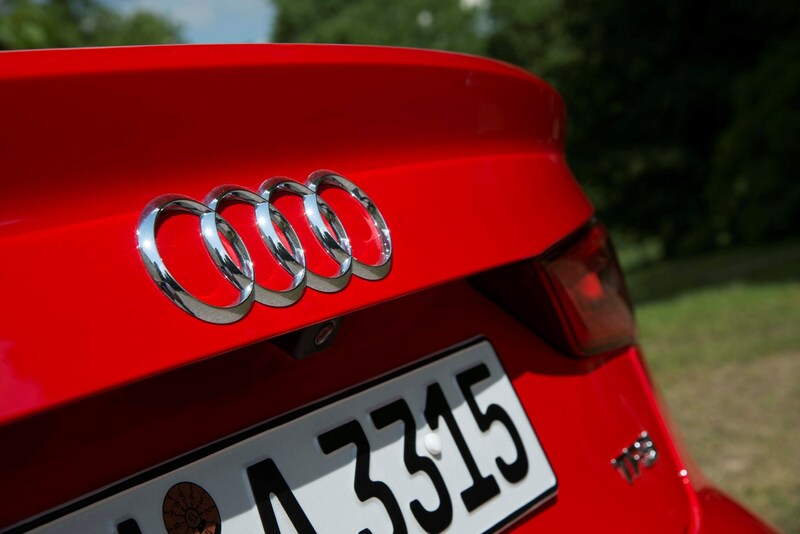 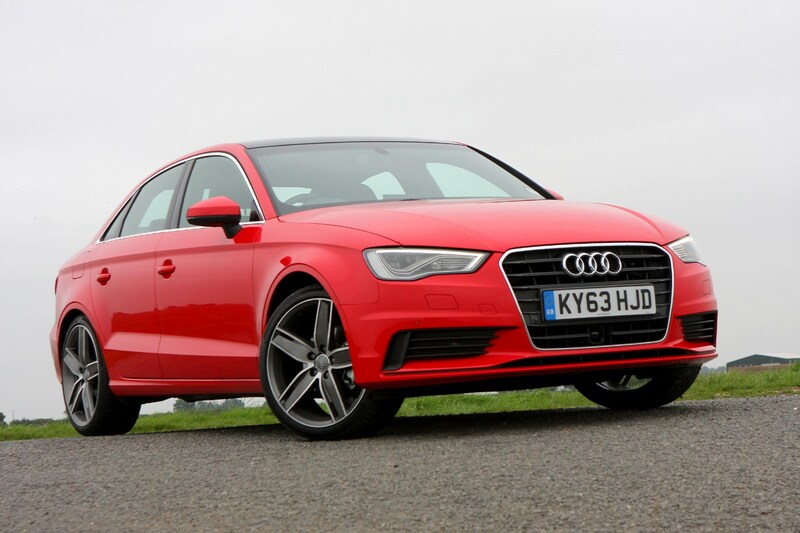 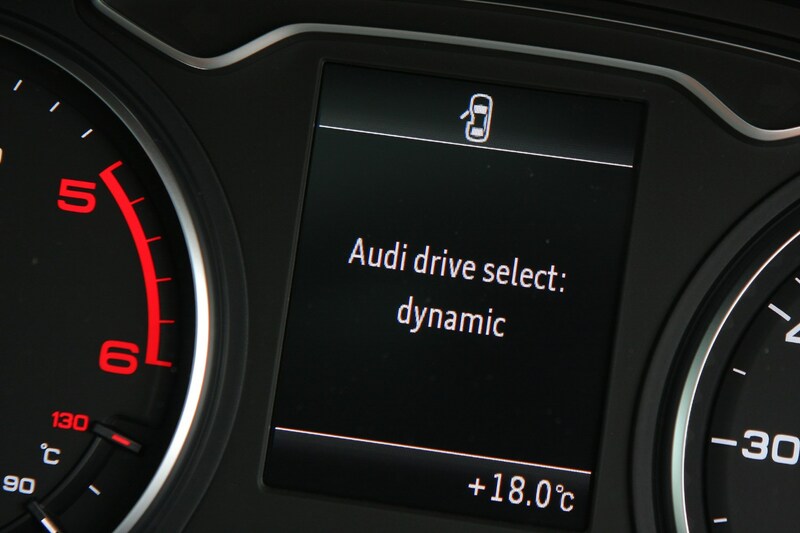 Read on for the full Audi A3 saloon review in depth. 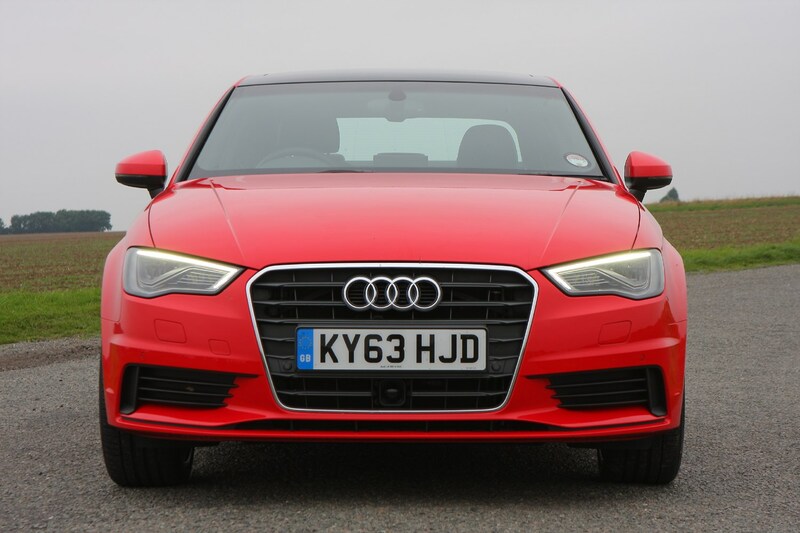 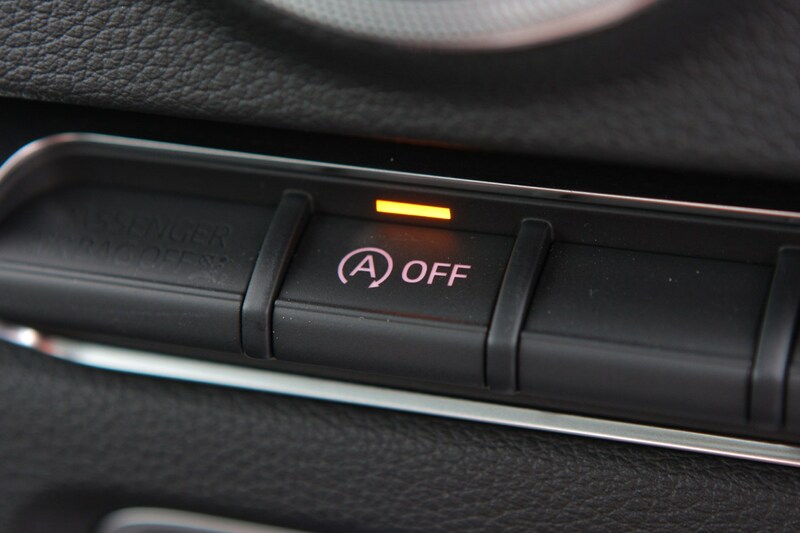 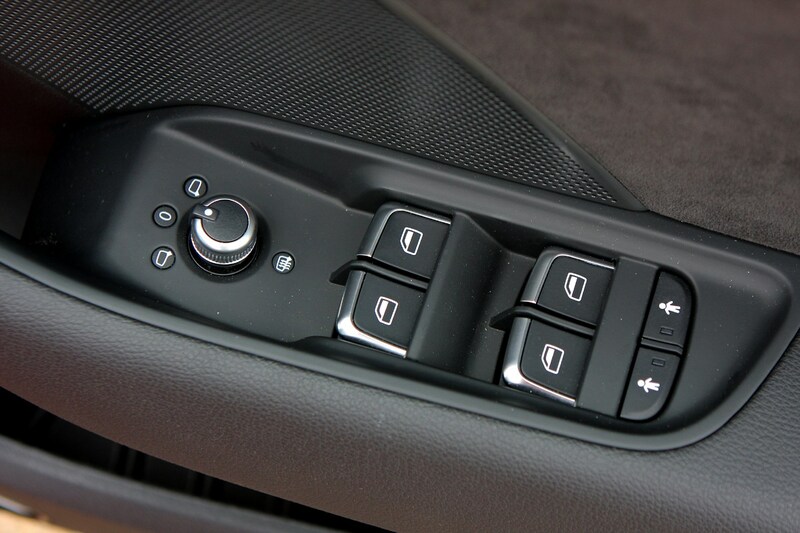 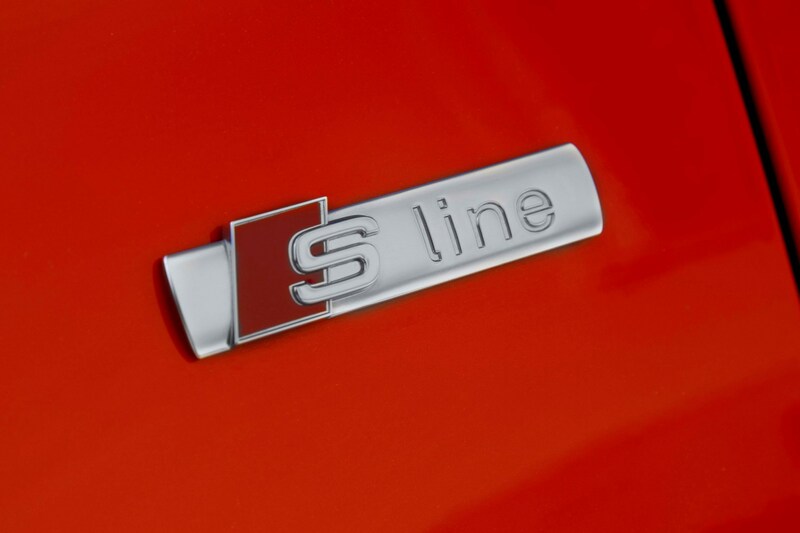 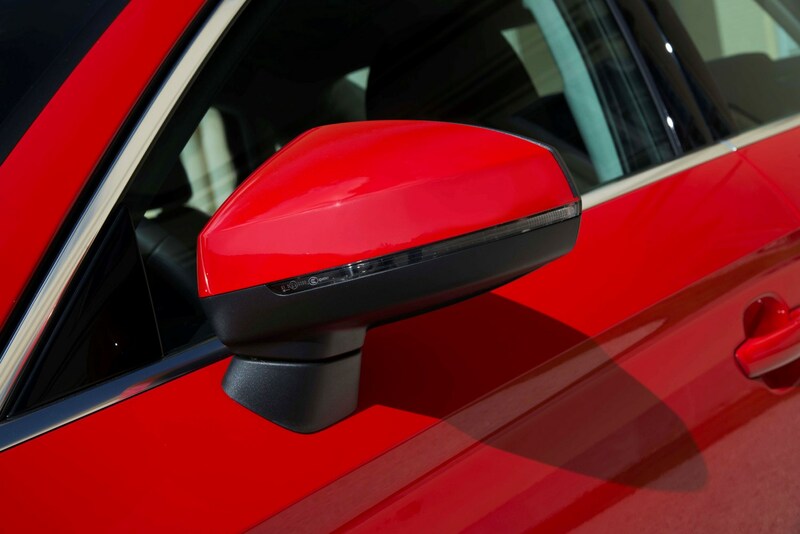 Audi A3 S Line: should you choose this trim?